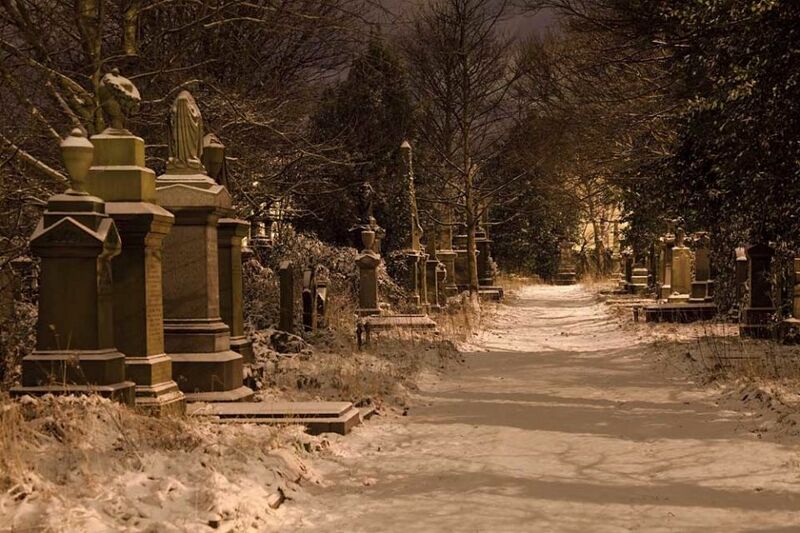 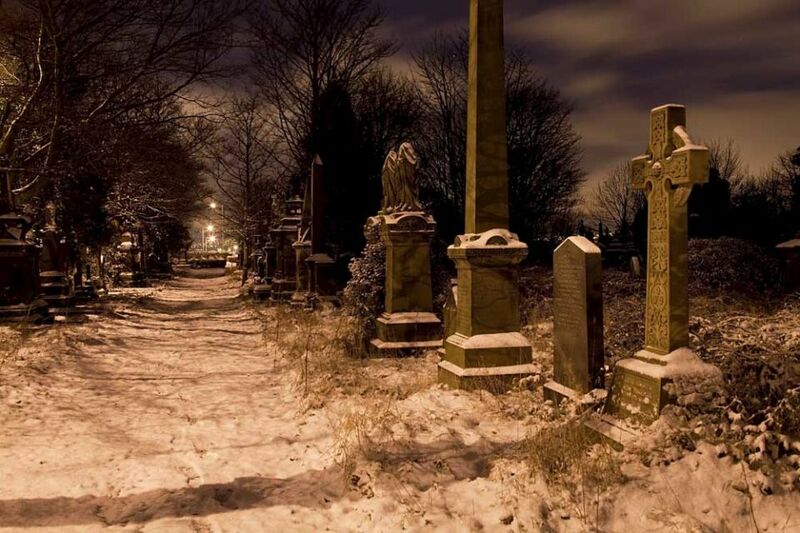 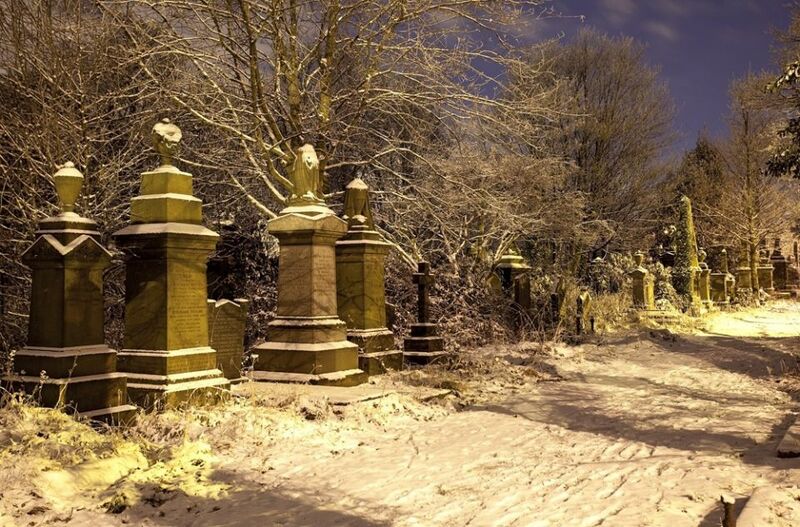 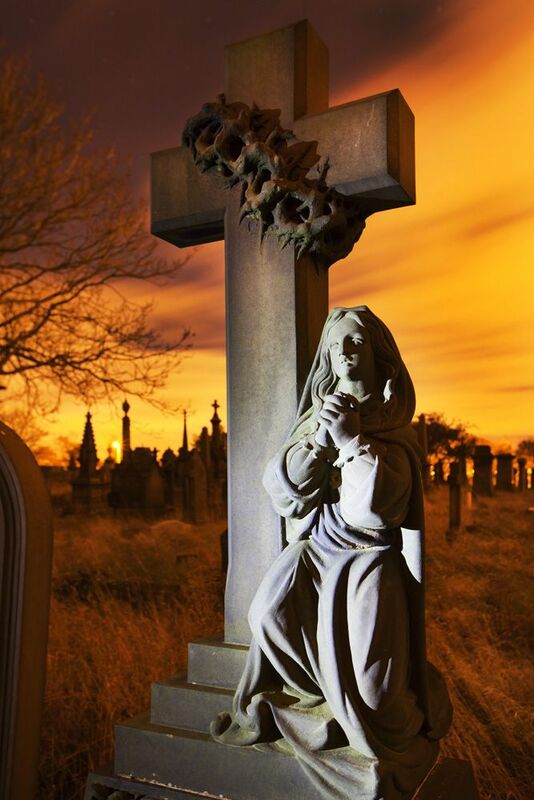 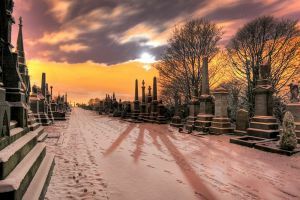 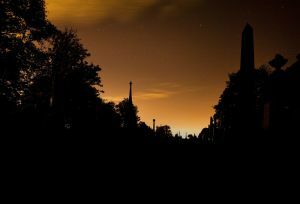 Undercliffe Cemetery originally known as the the Bradford Cemetery opened in 1854, contains some 23,000 graves and holds a total of 124,000 burials. 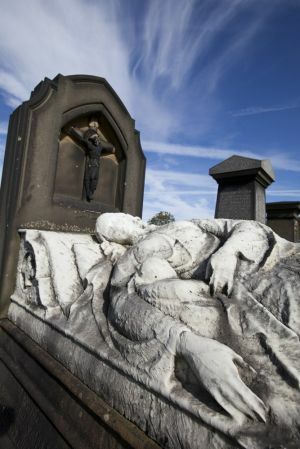 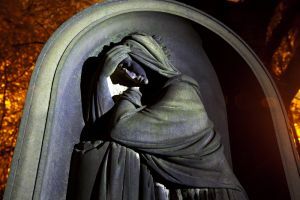 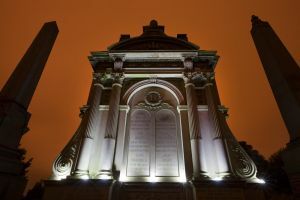 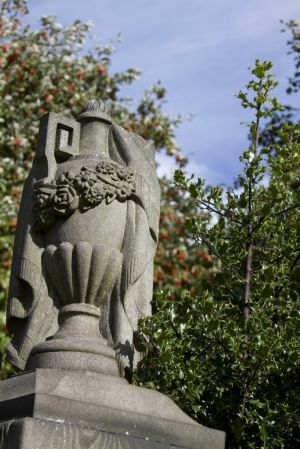 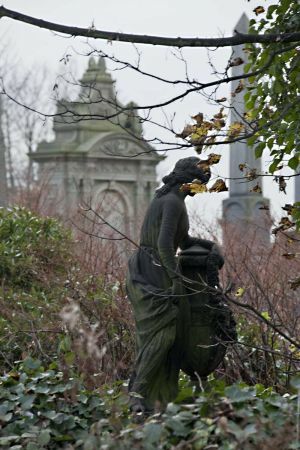 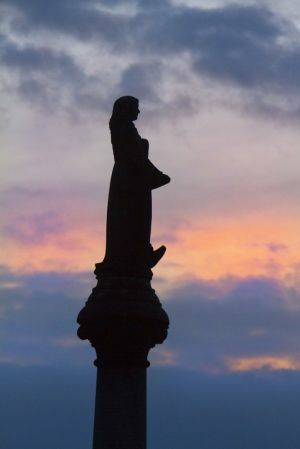 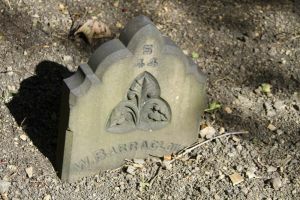 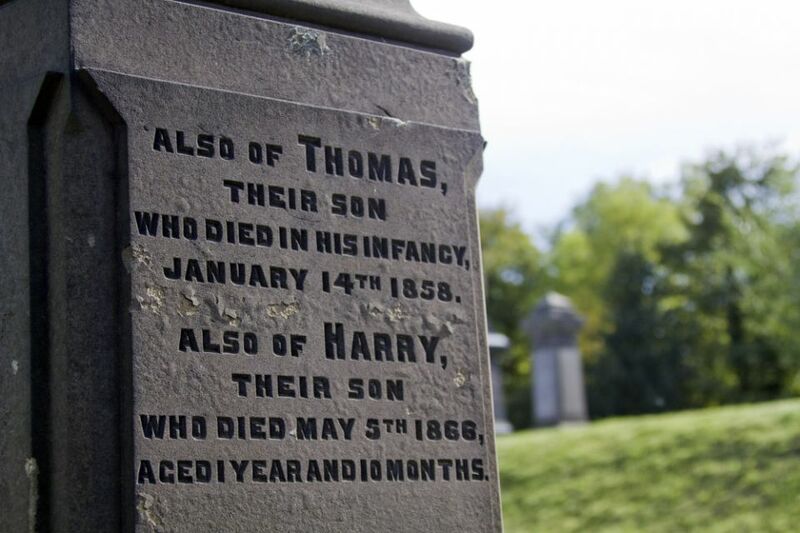 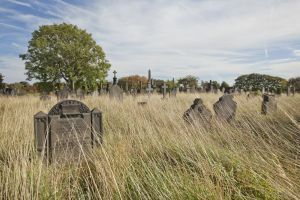 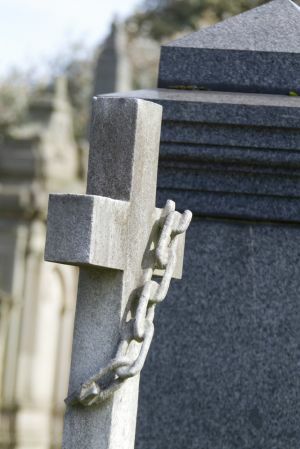 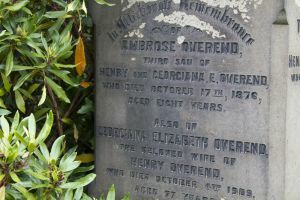 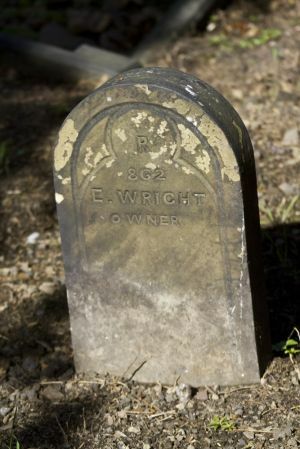 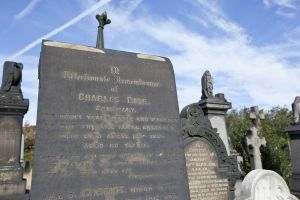 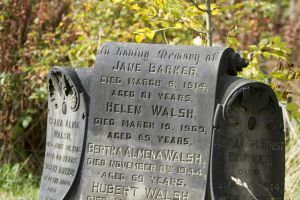 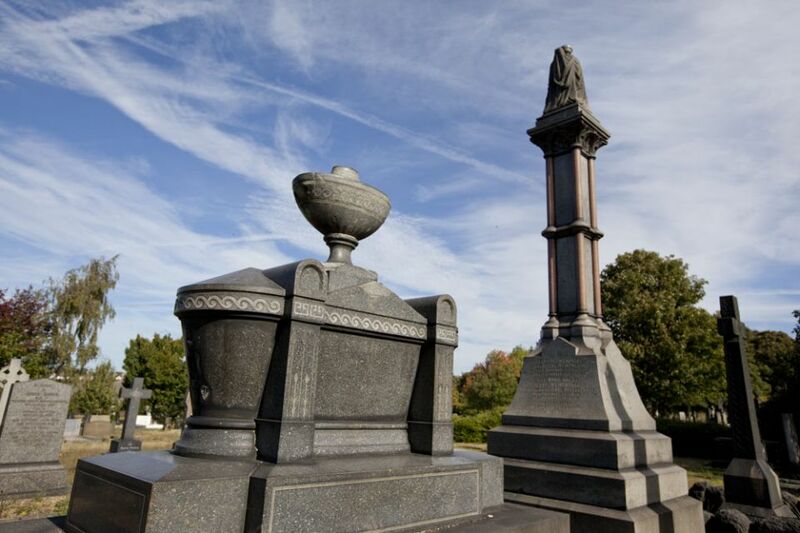 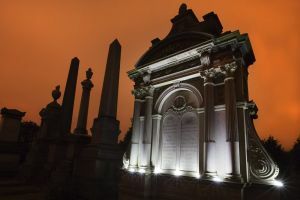 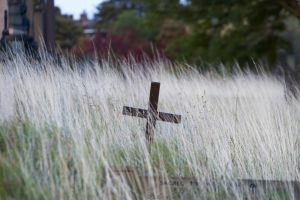 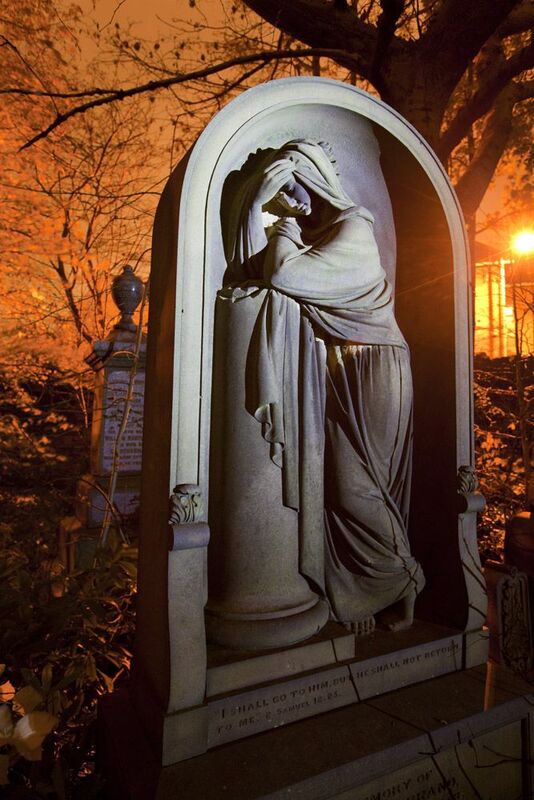 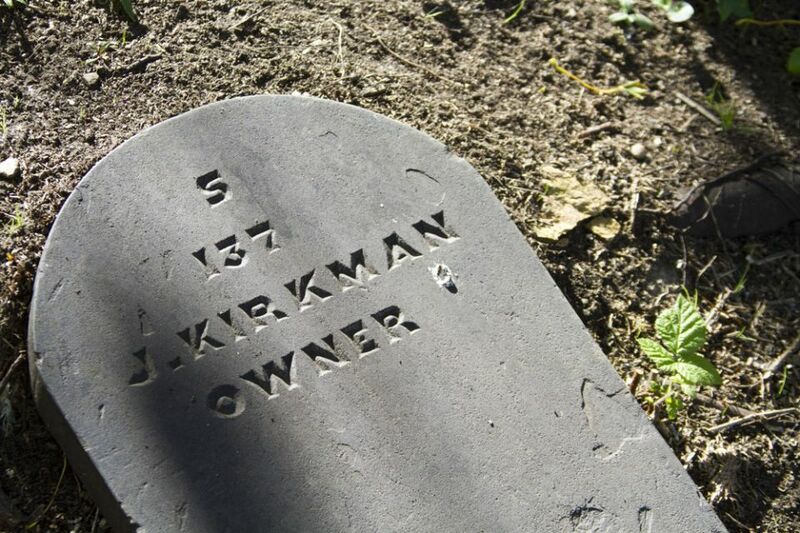 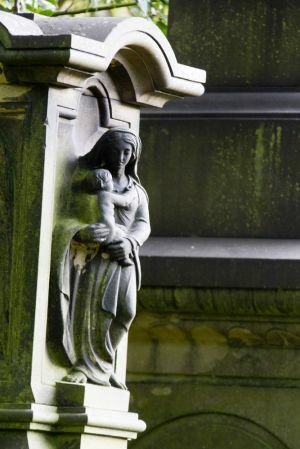 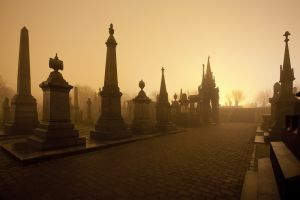 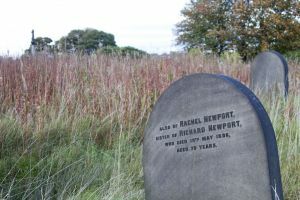 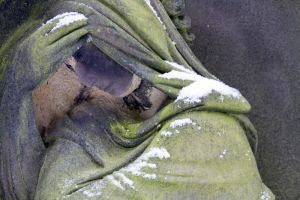 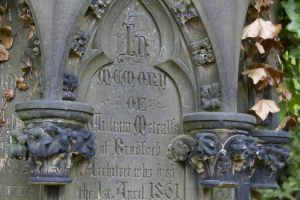 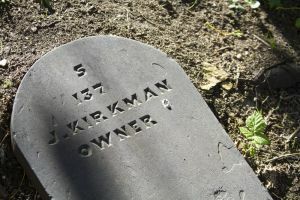 The Cemetery offers a unique opportunity to appreciate how in death as in life social status was observed. 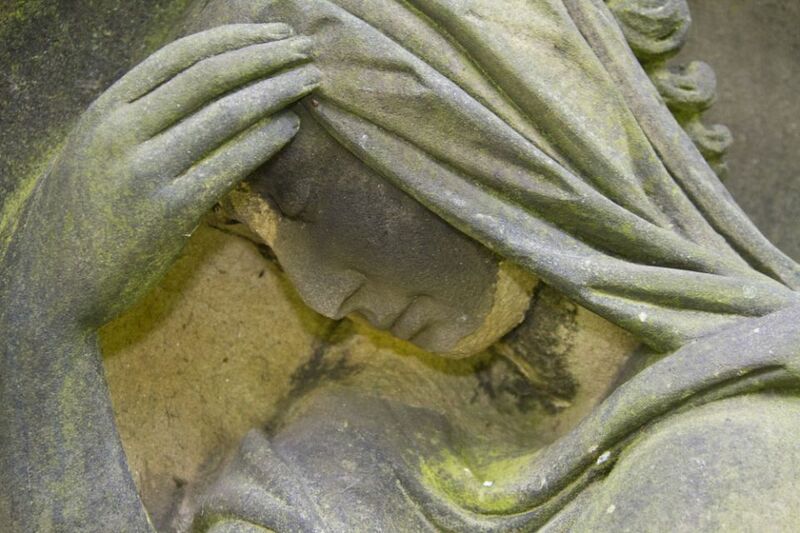 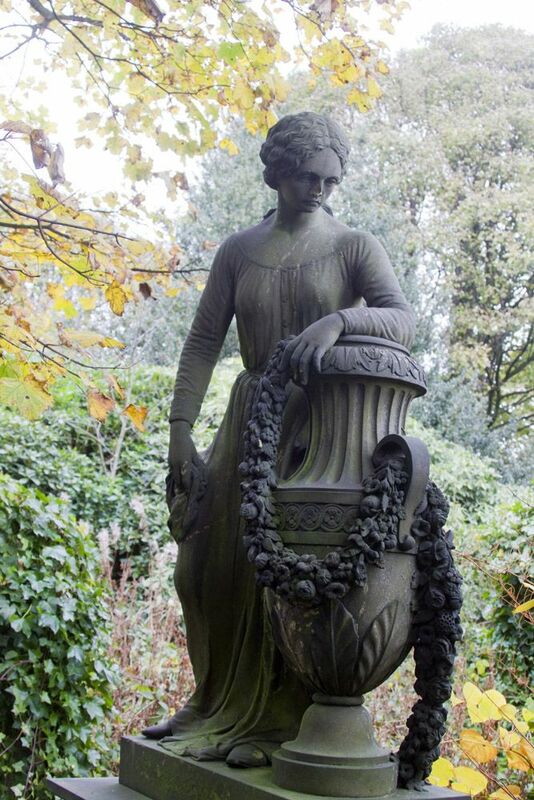 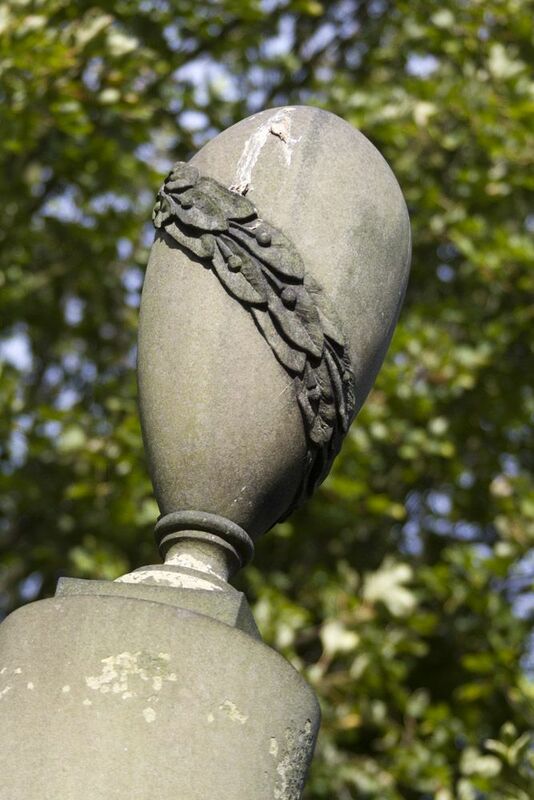 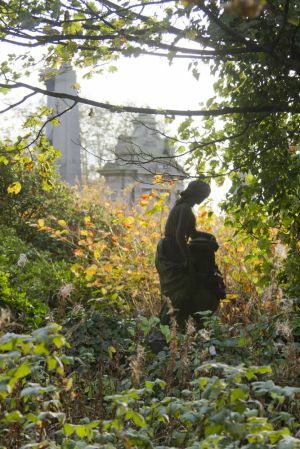 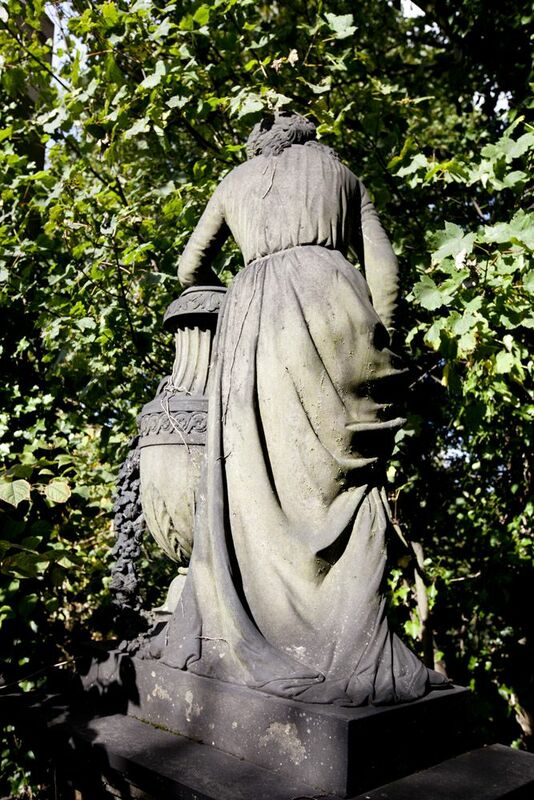 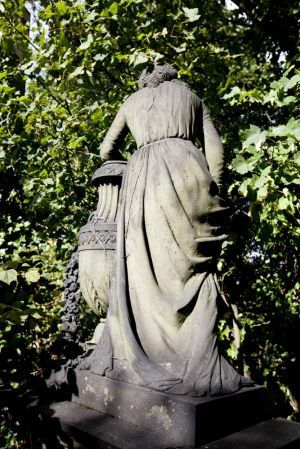 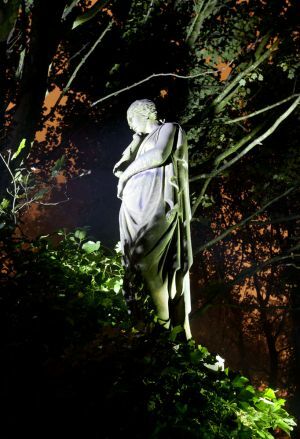 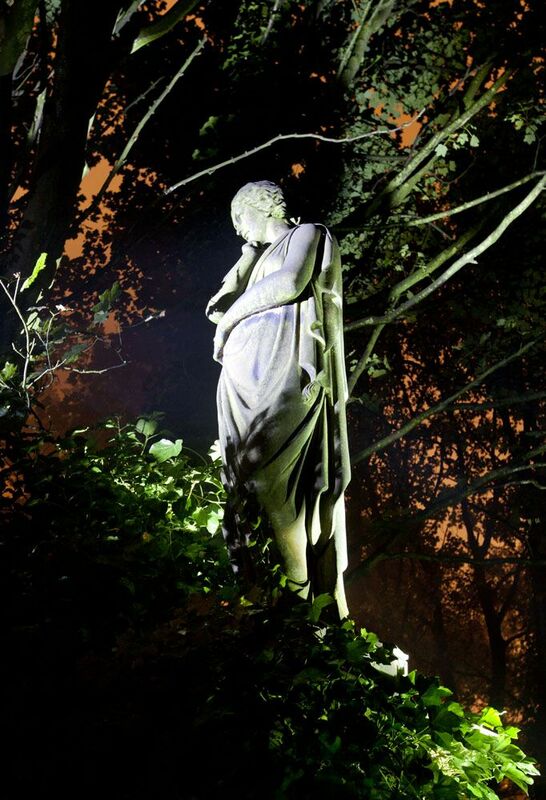 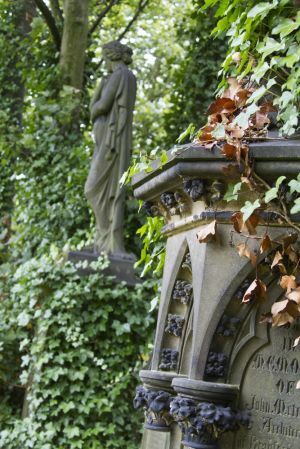 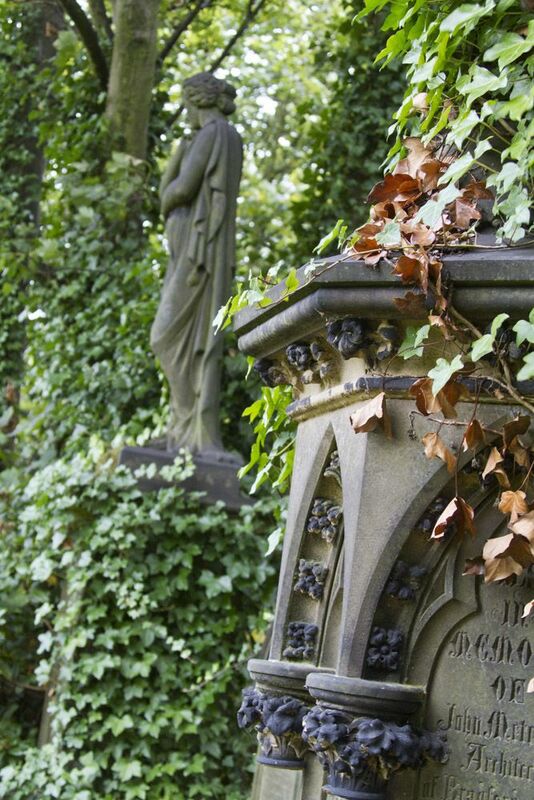 Examples of 19th century funerary art set within the original design of this 26 acre parkland. 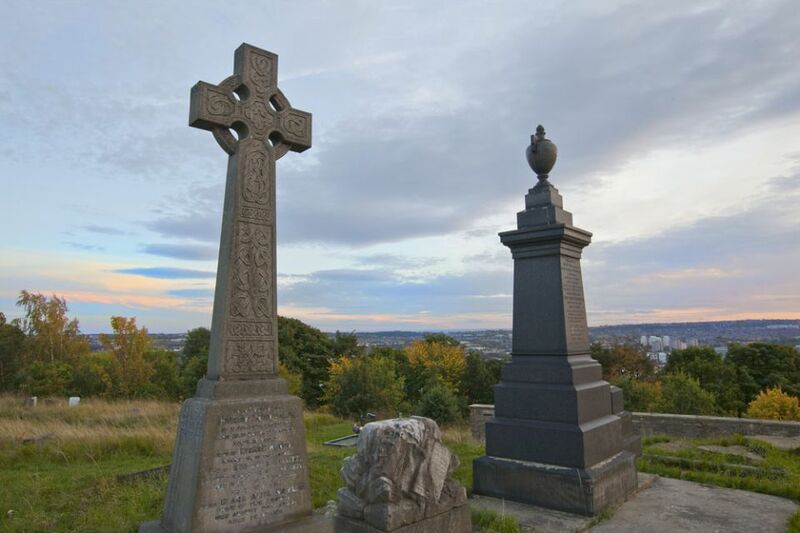 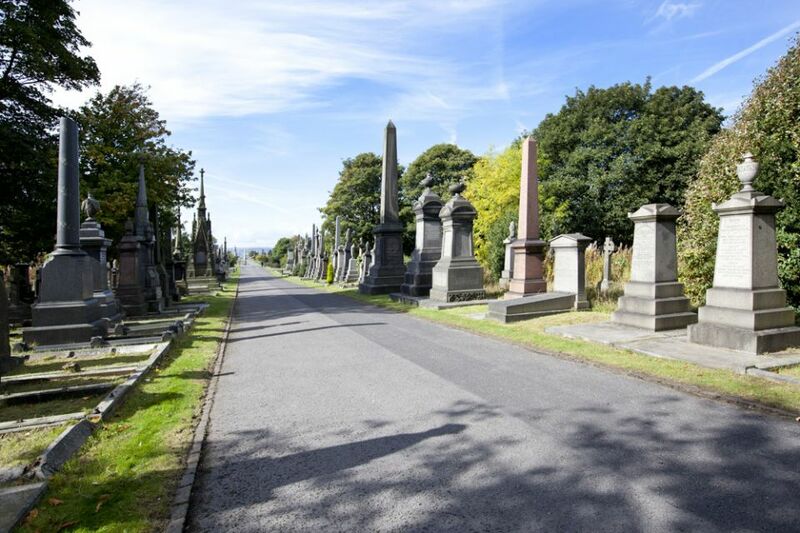 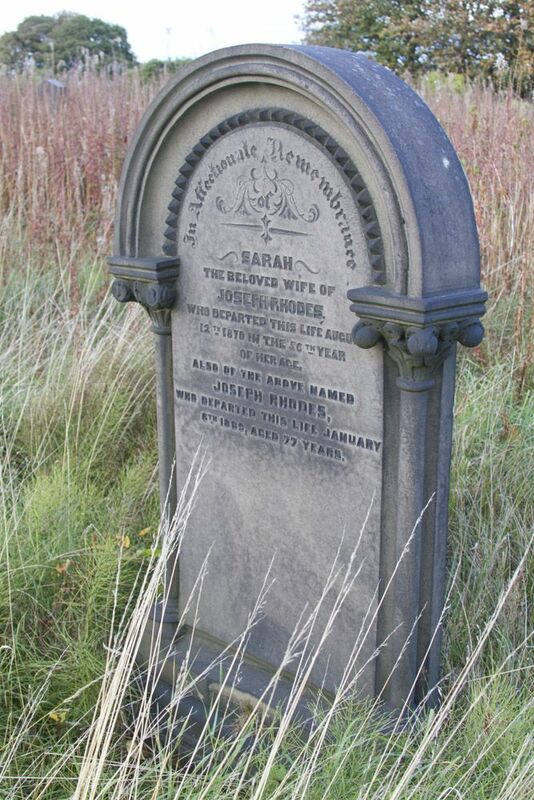 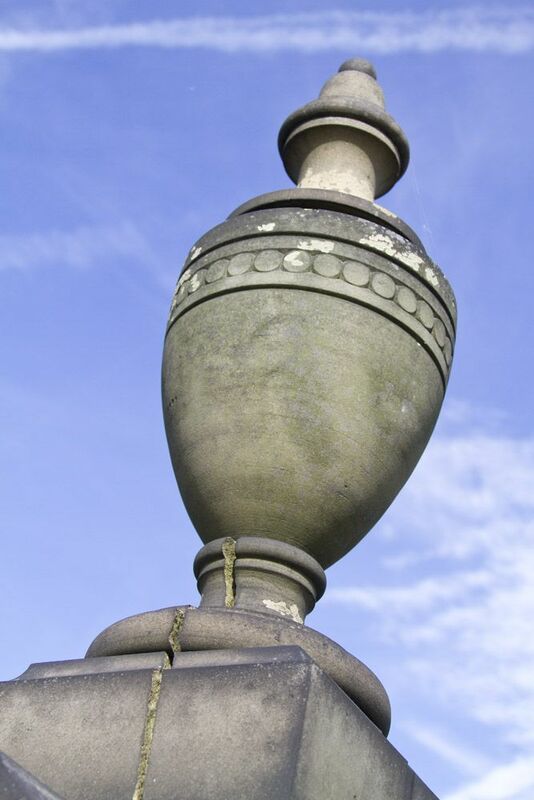 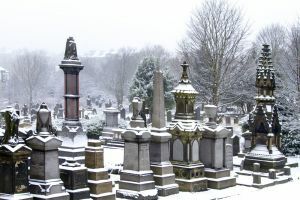 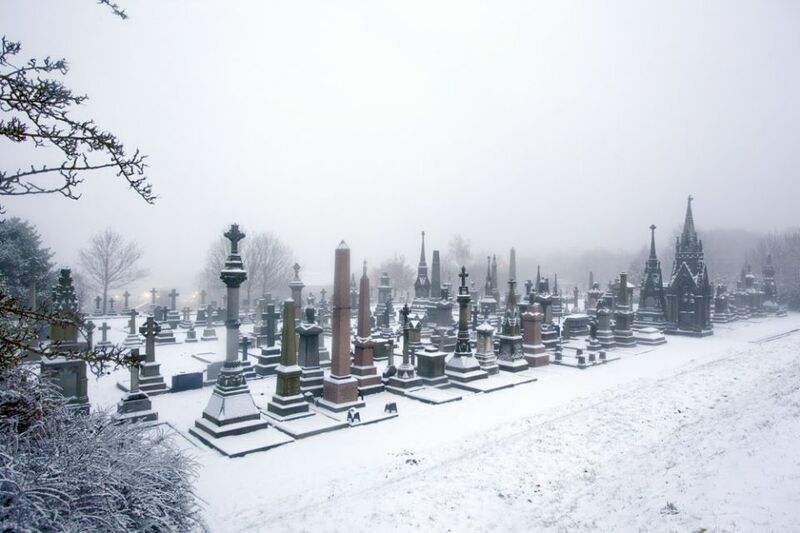 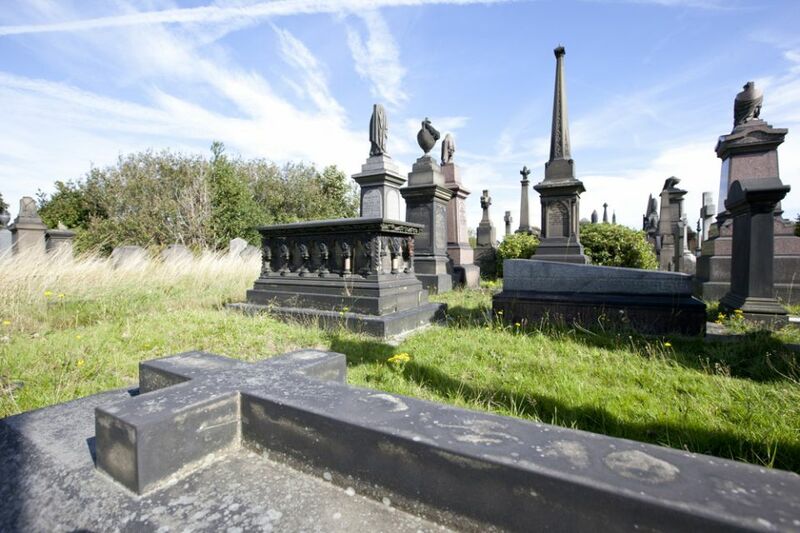 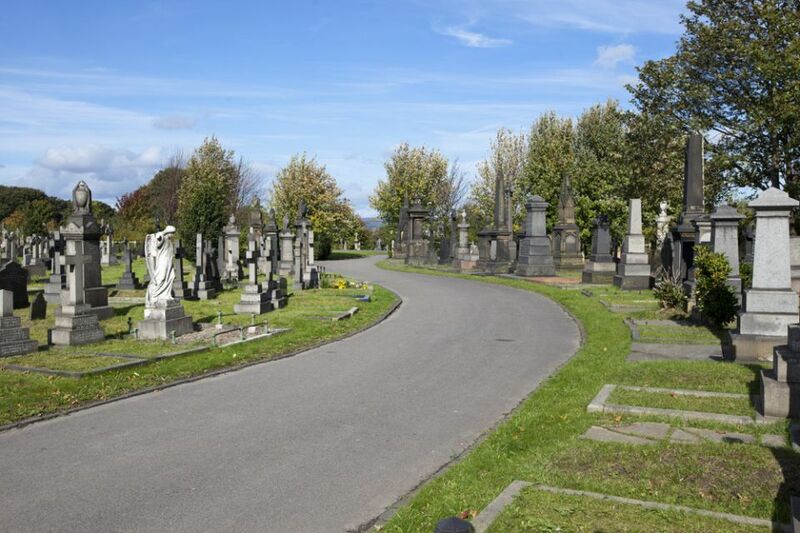 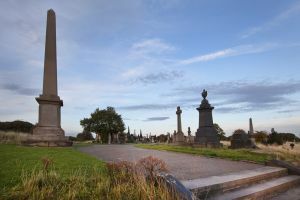 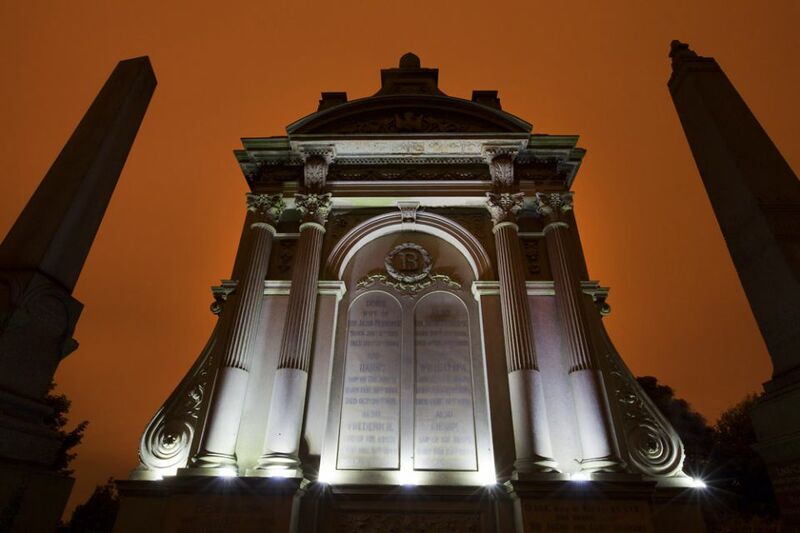 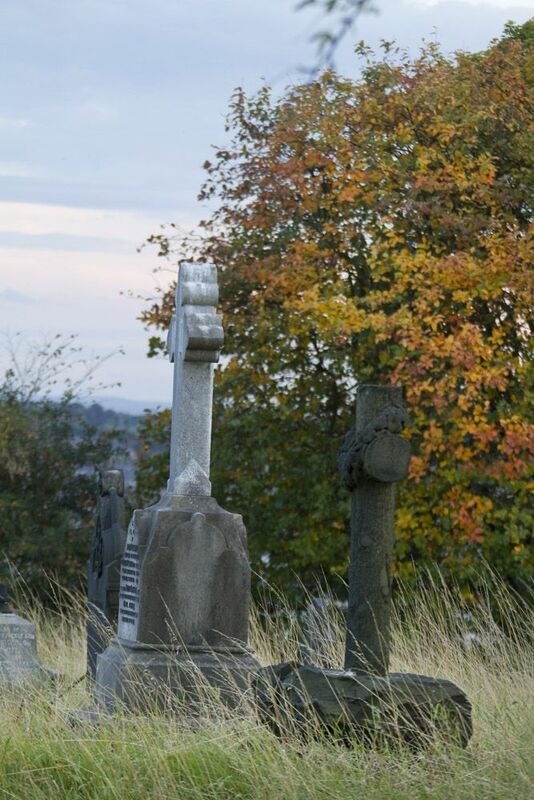 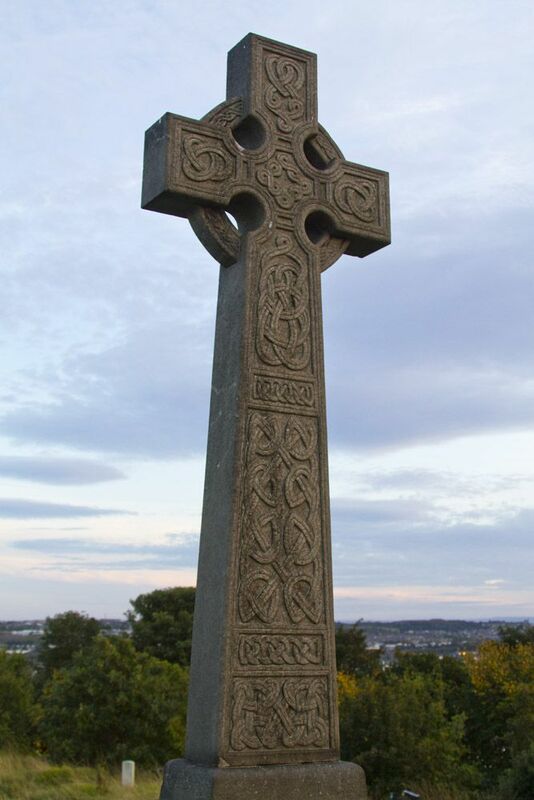 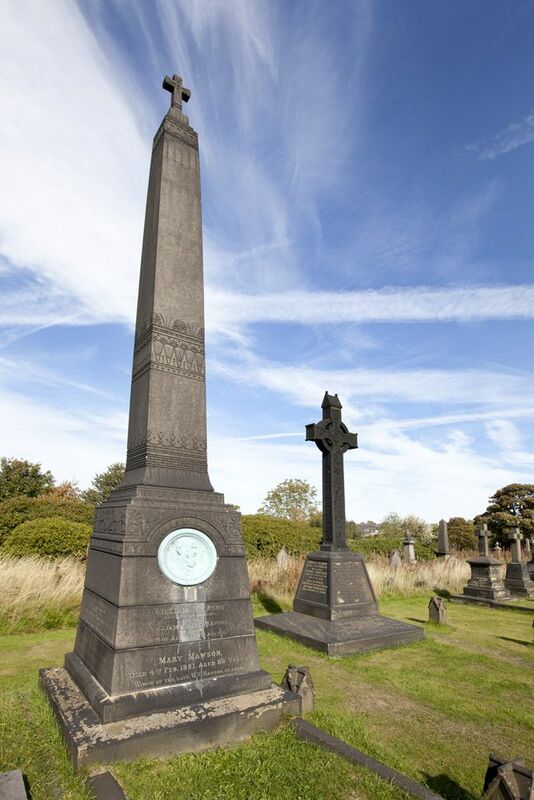 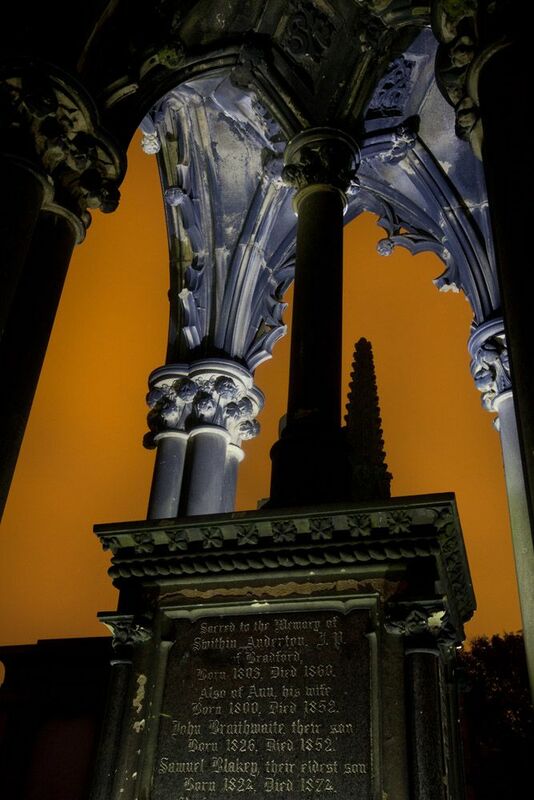 Given its elevated position the cemetery affords wonderful panoramic views across the city of Bradford and out over the Aire Valley. 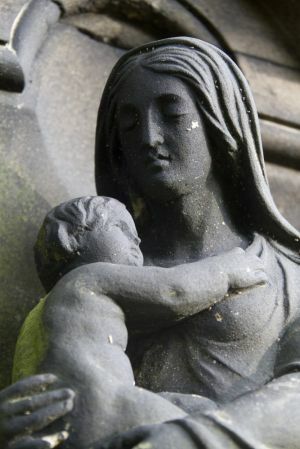 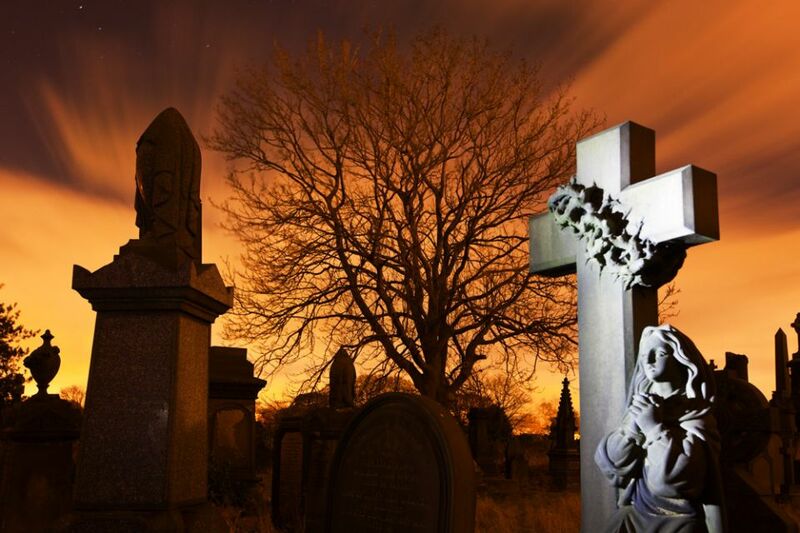 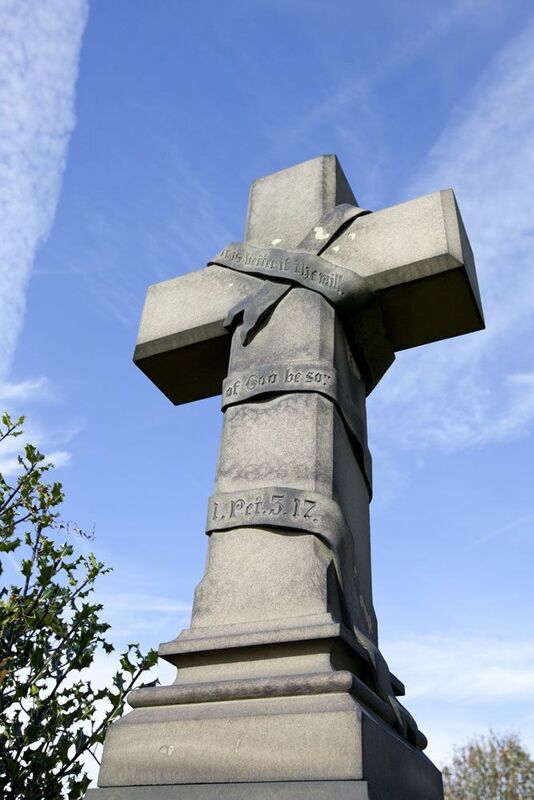 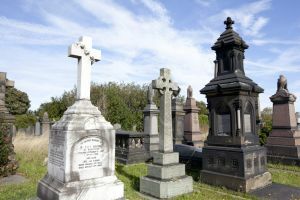 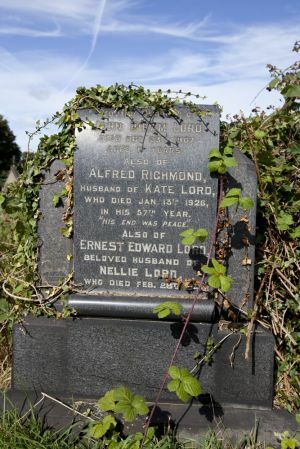 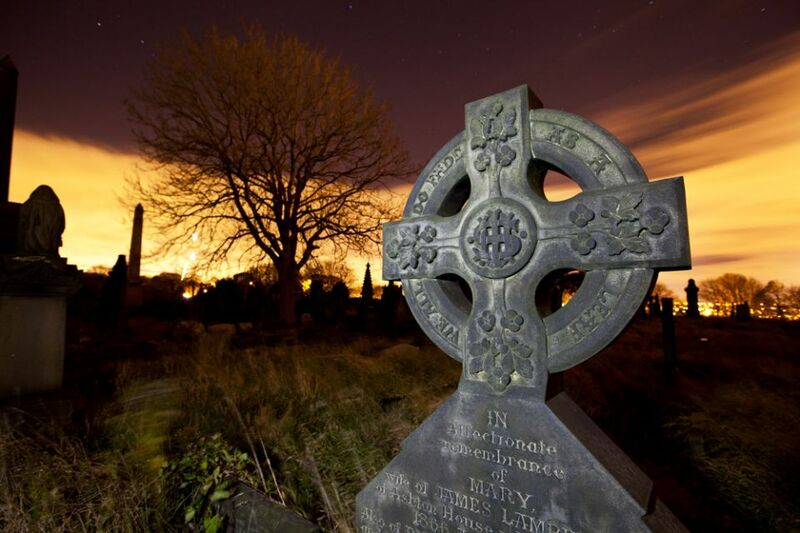 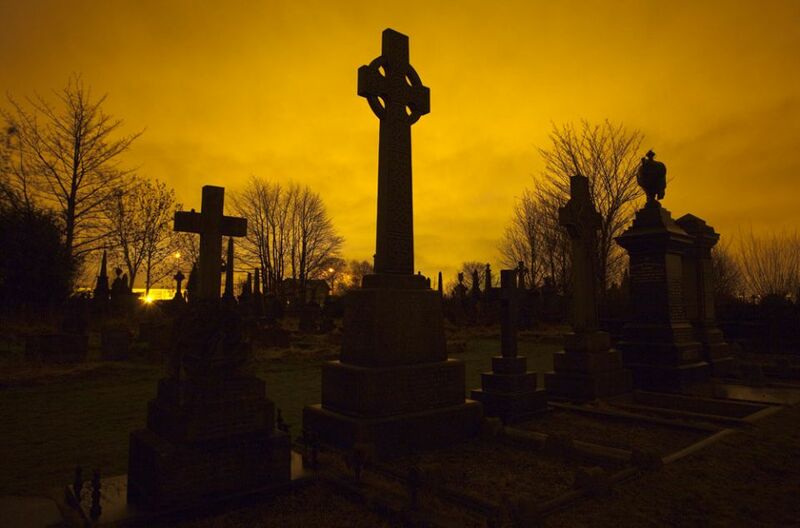 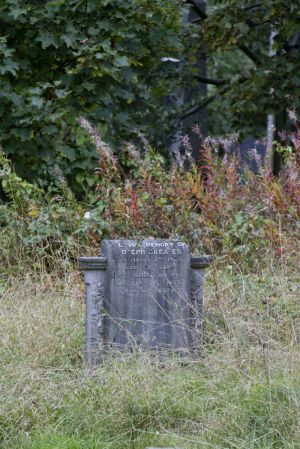 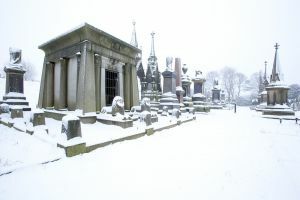 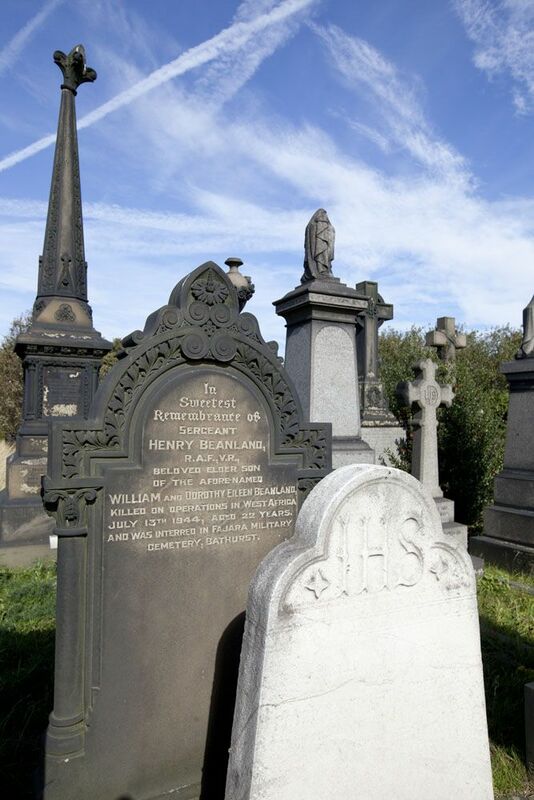 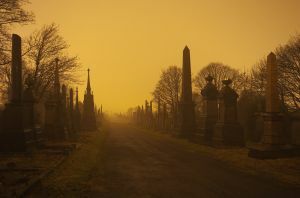 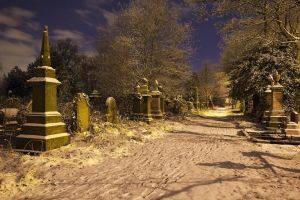 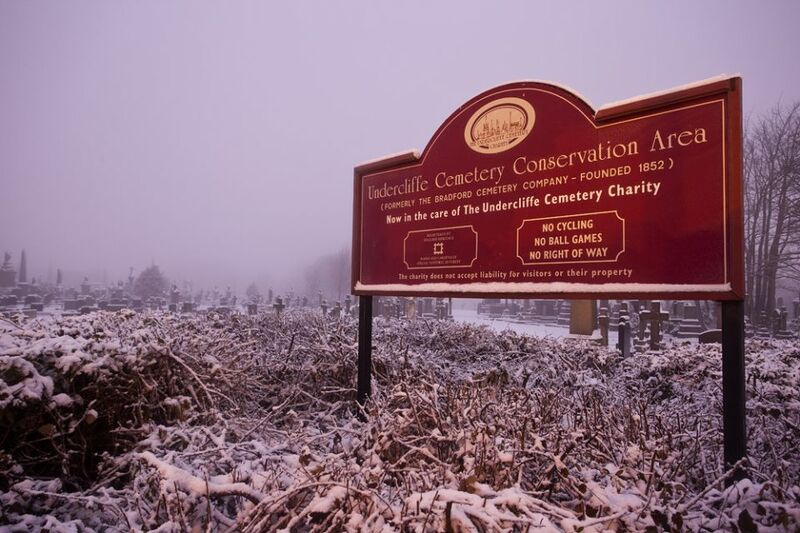 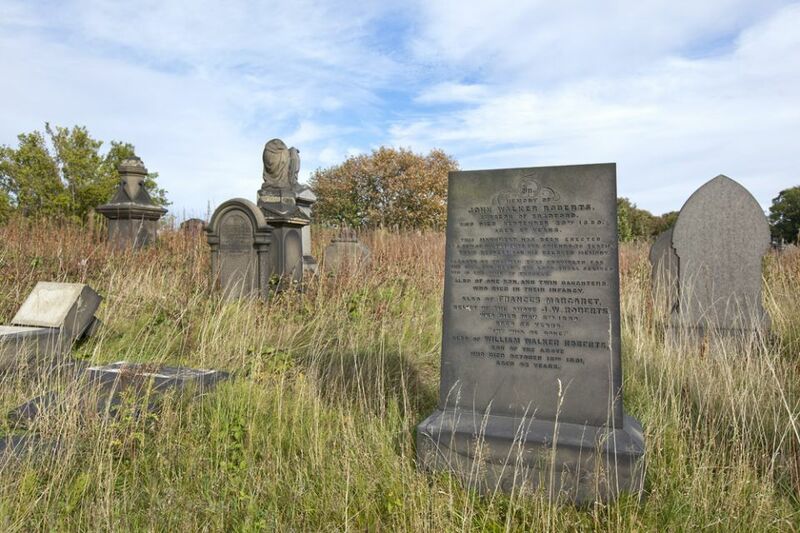 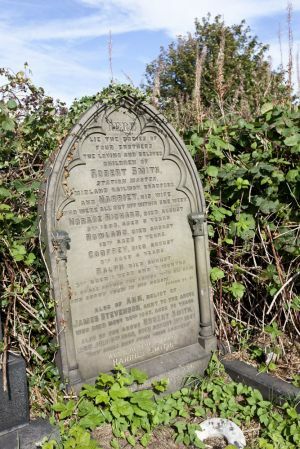 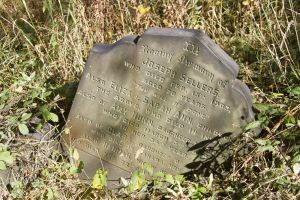 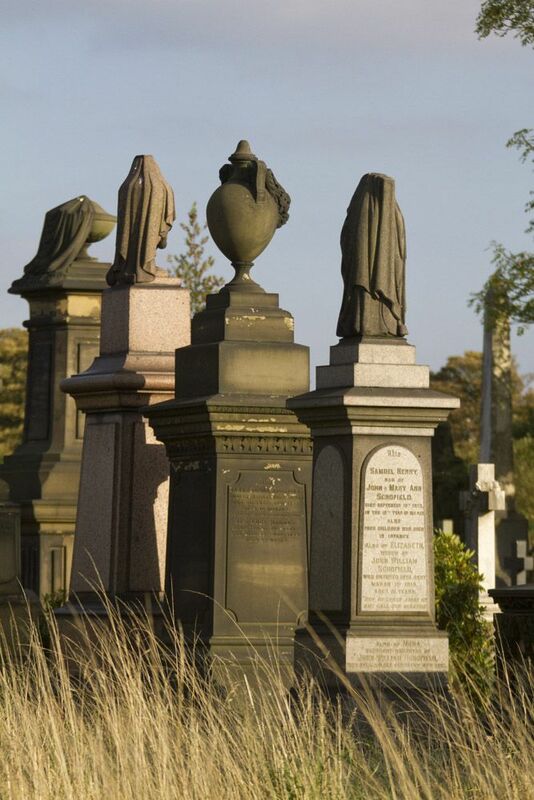 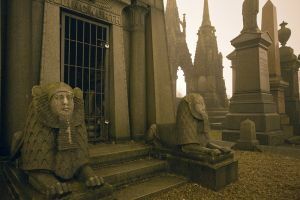 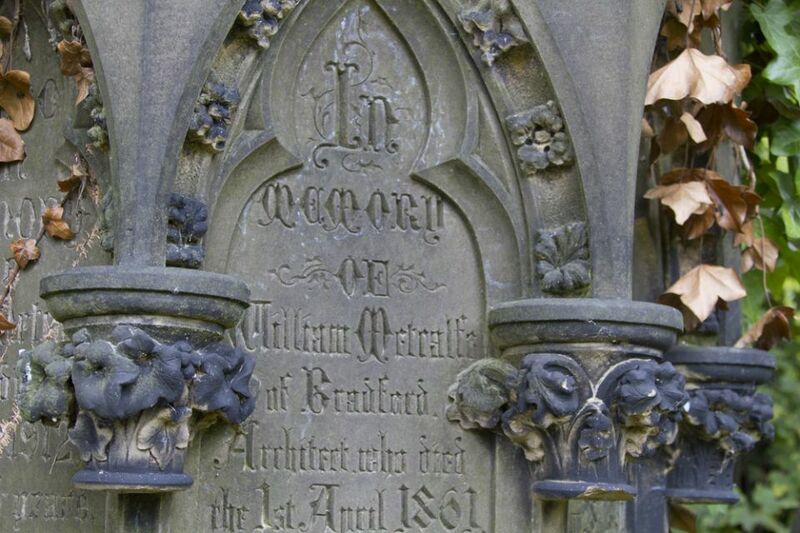 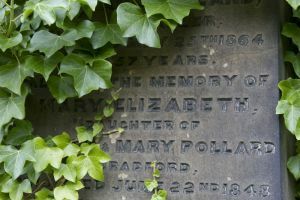 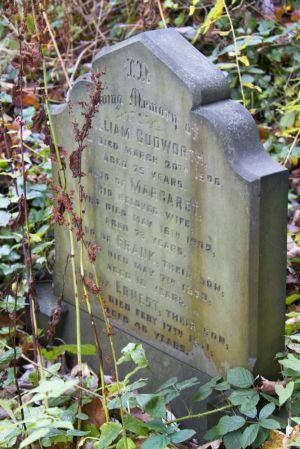 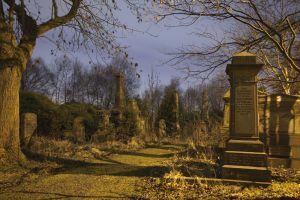 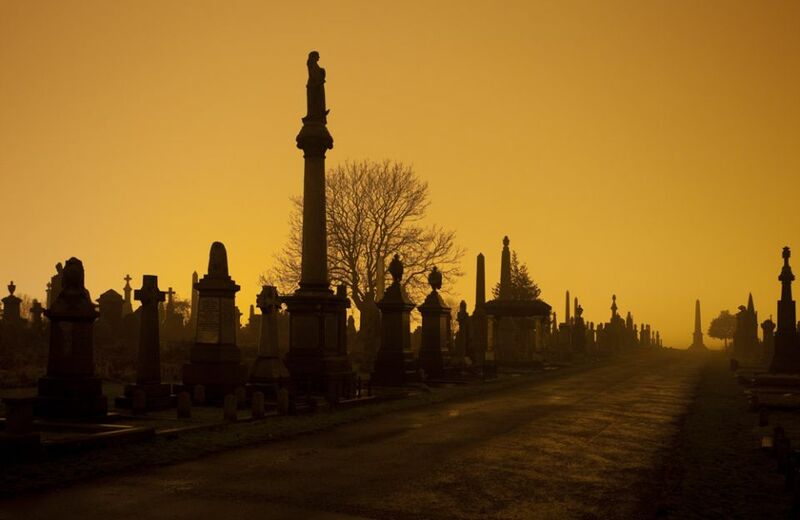 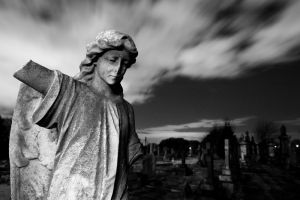 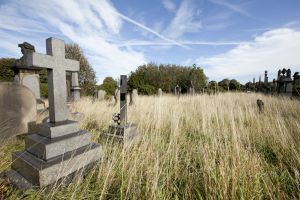 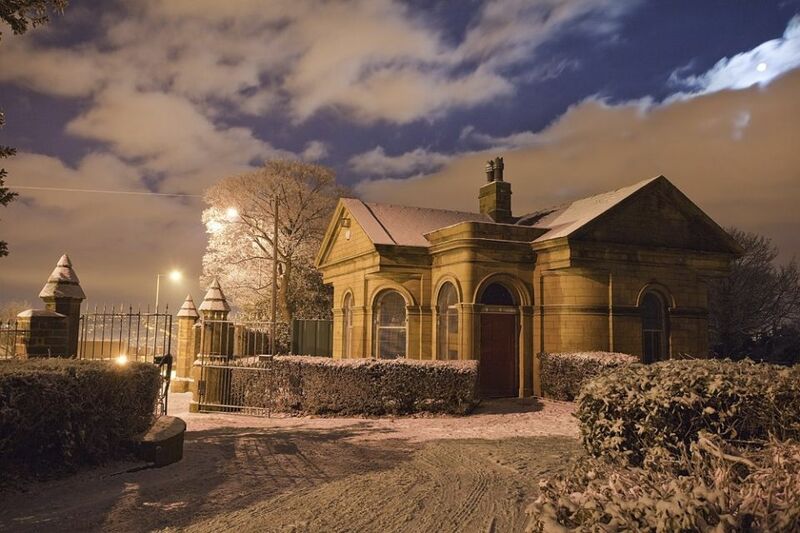 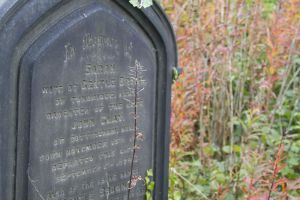 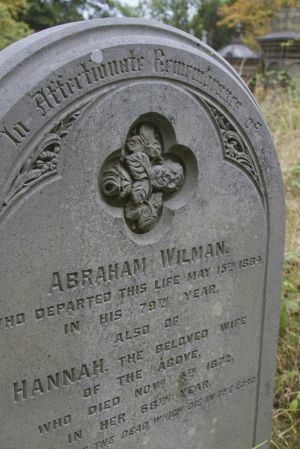 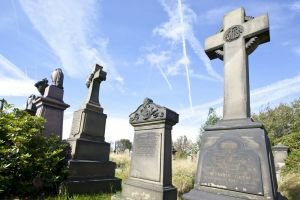 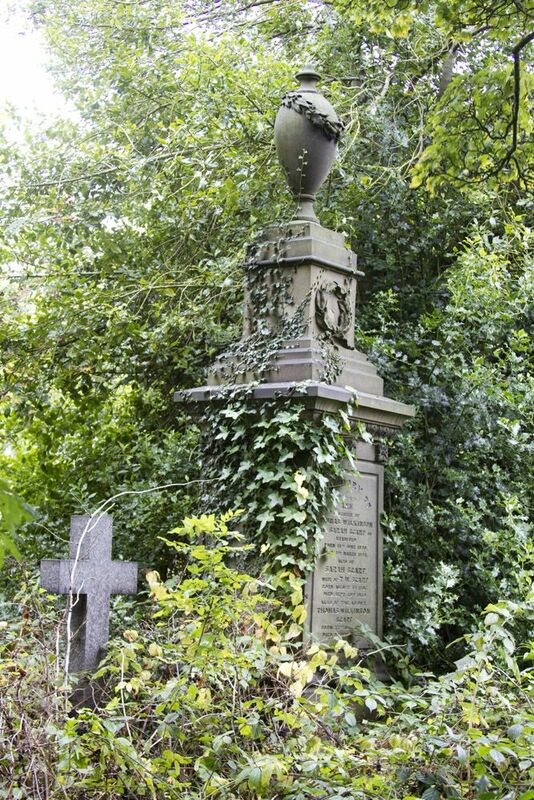 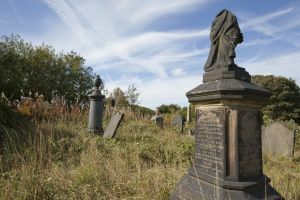 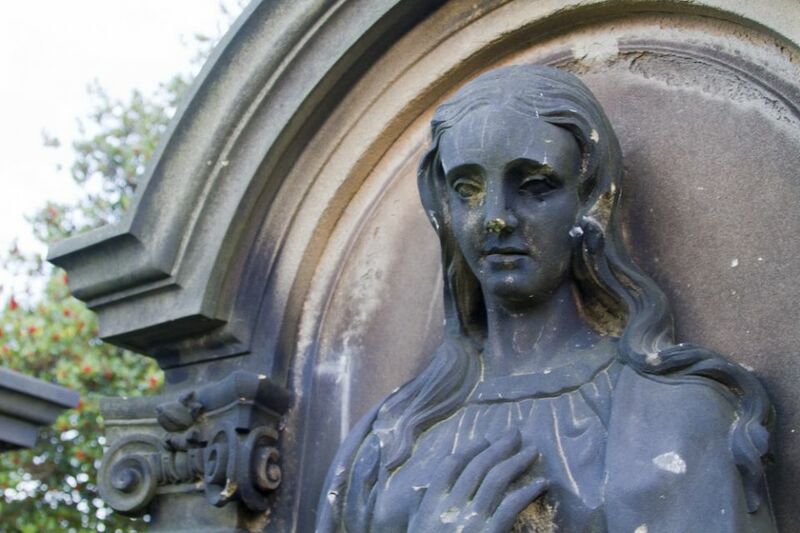 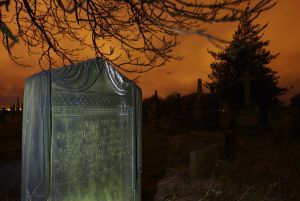 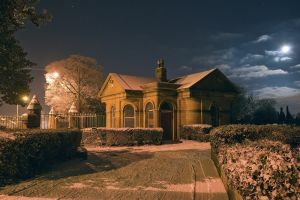 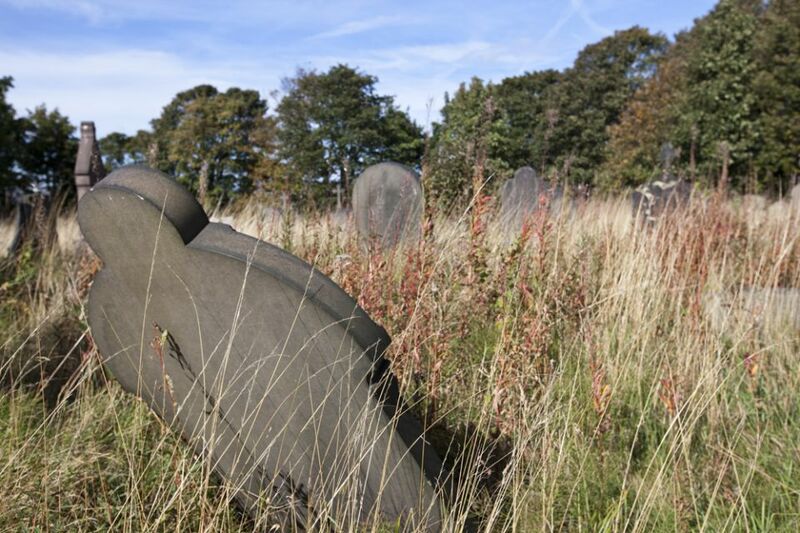 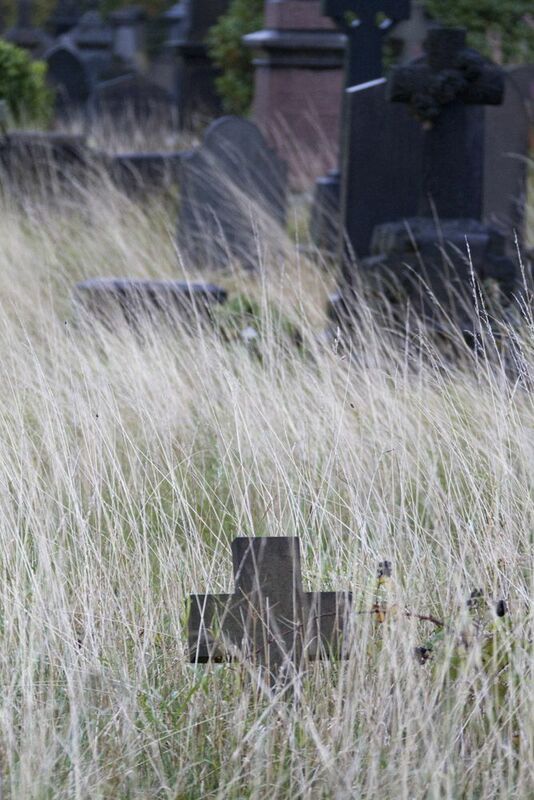 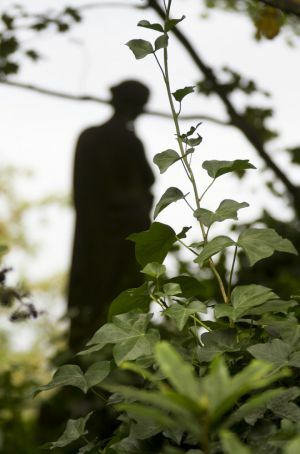 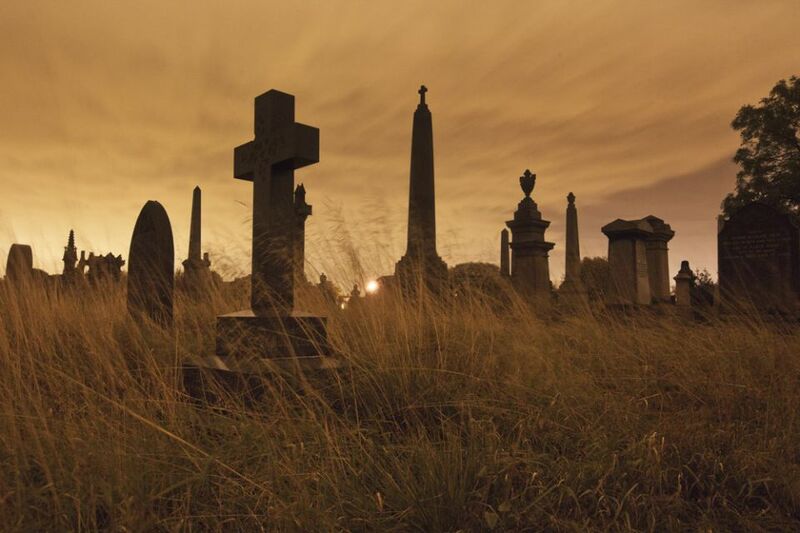 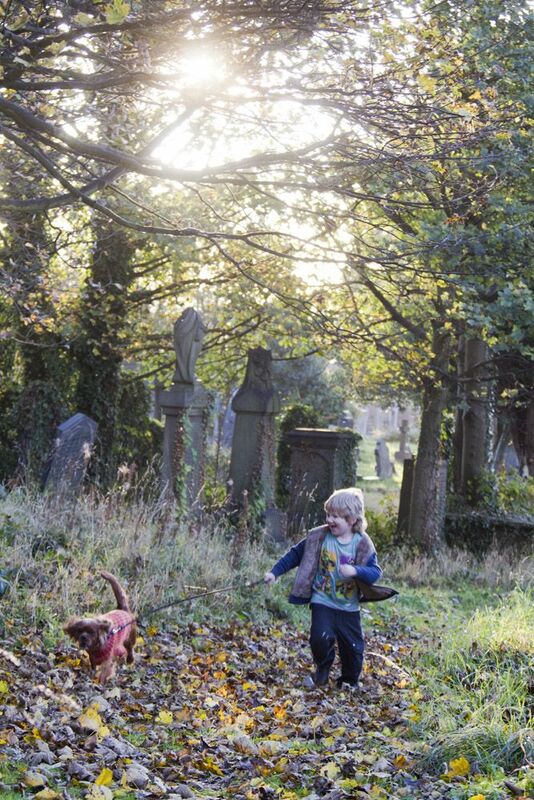 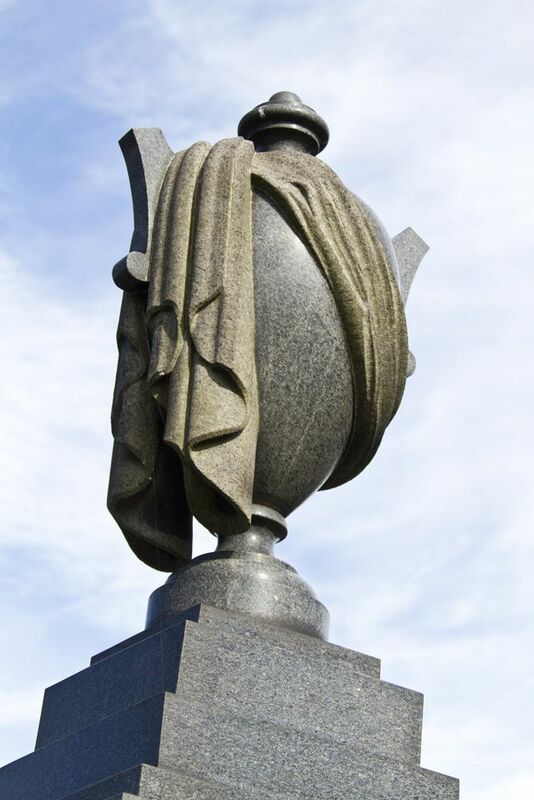 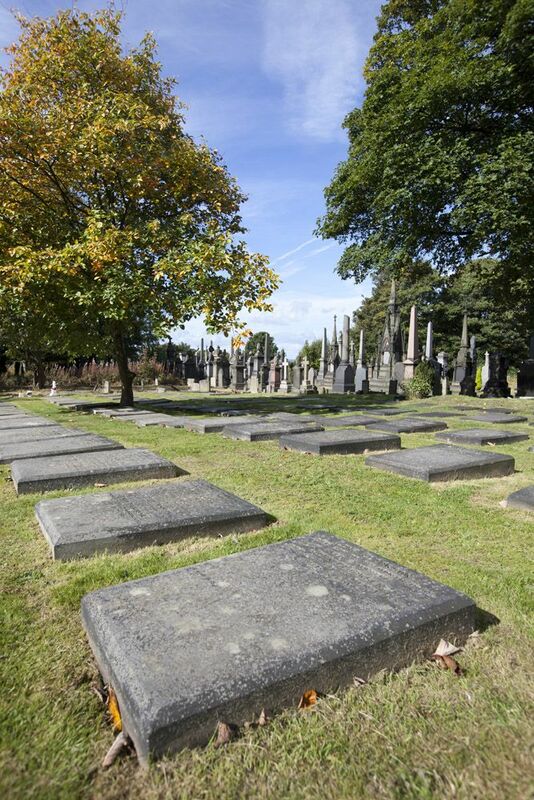 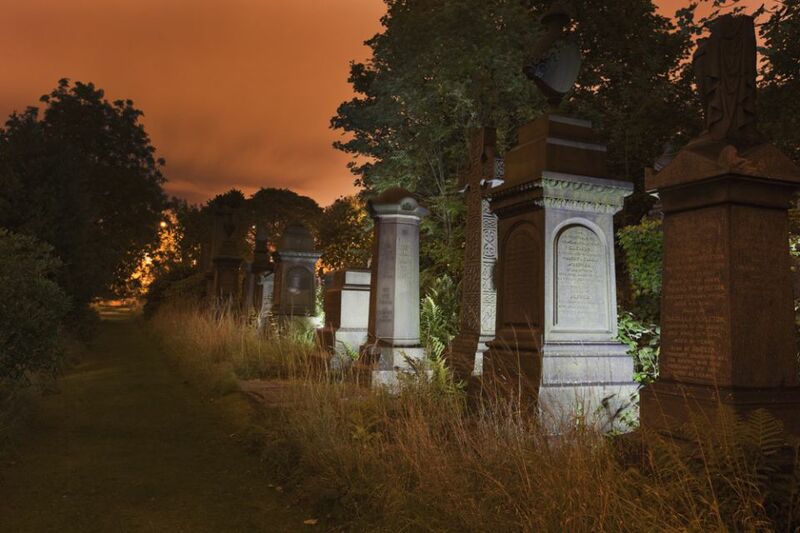 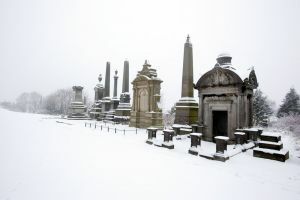 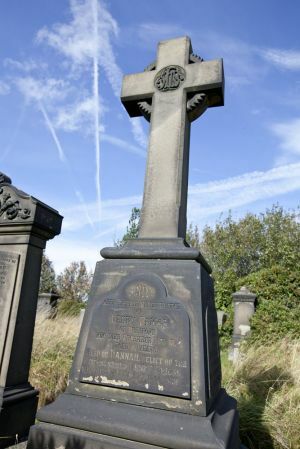 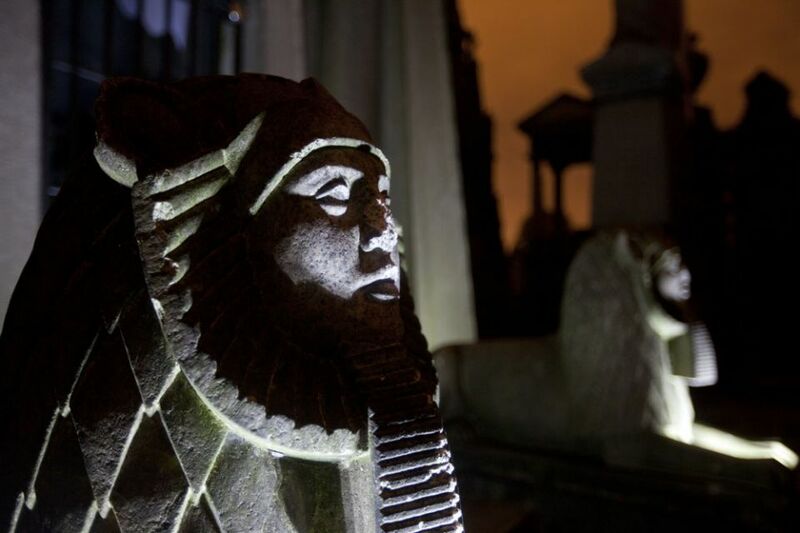 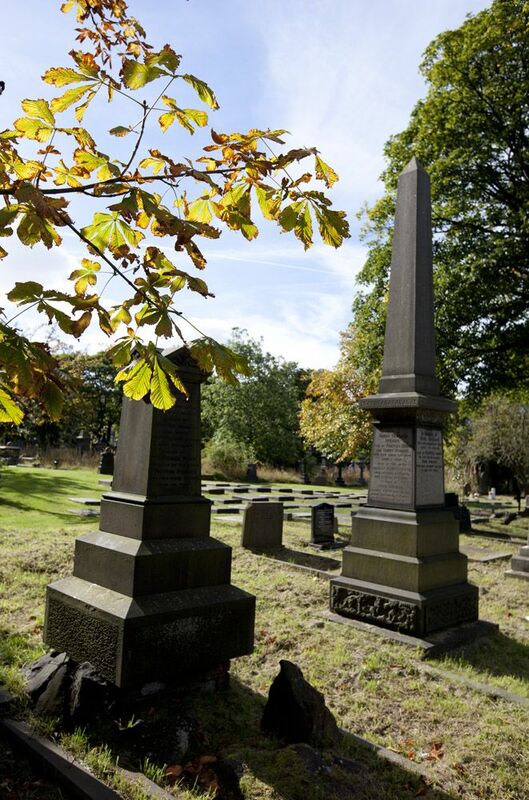 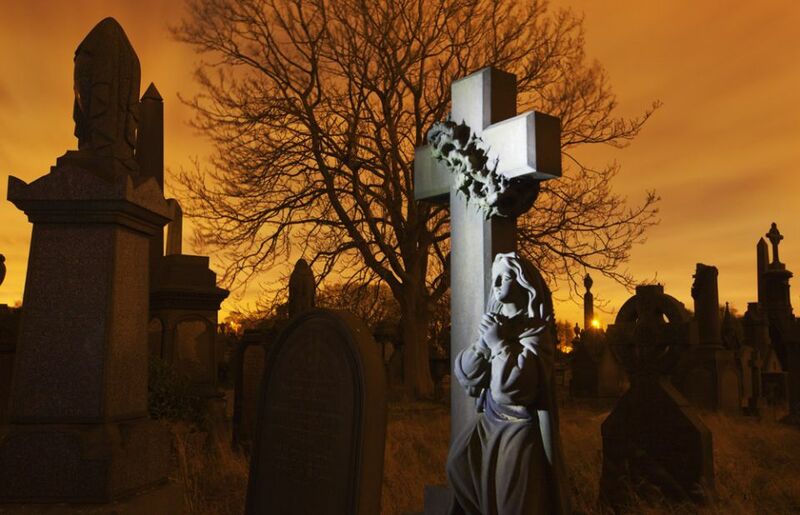 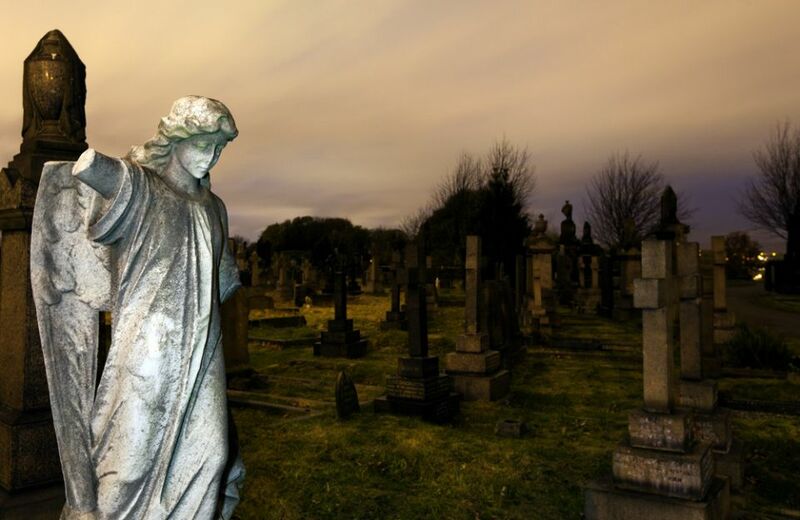 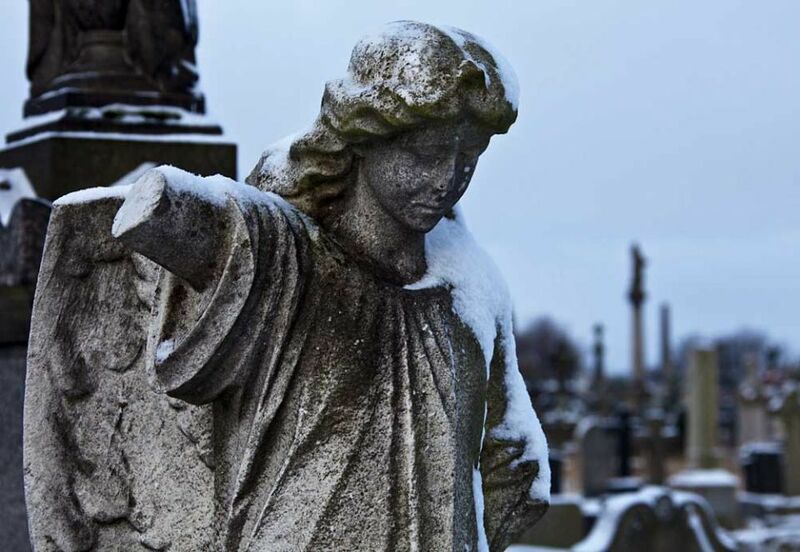 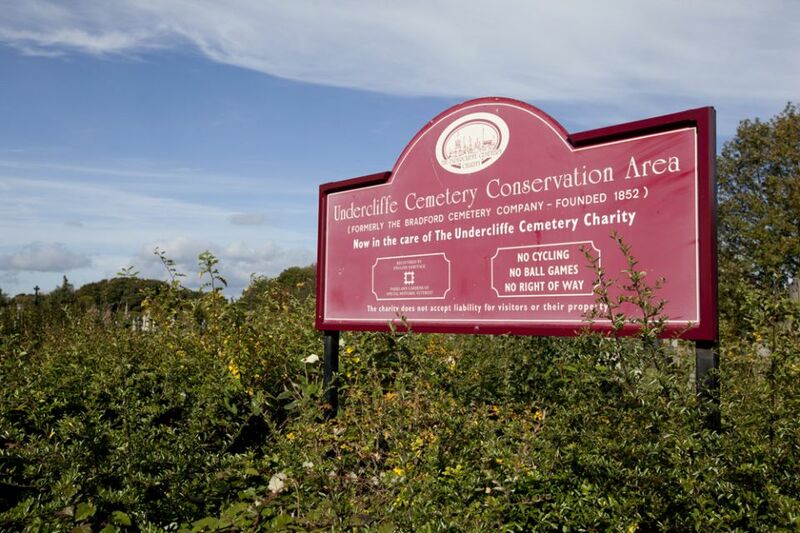 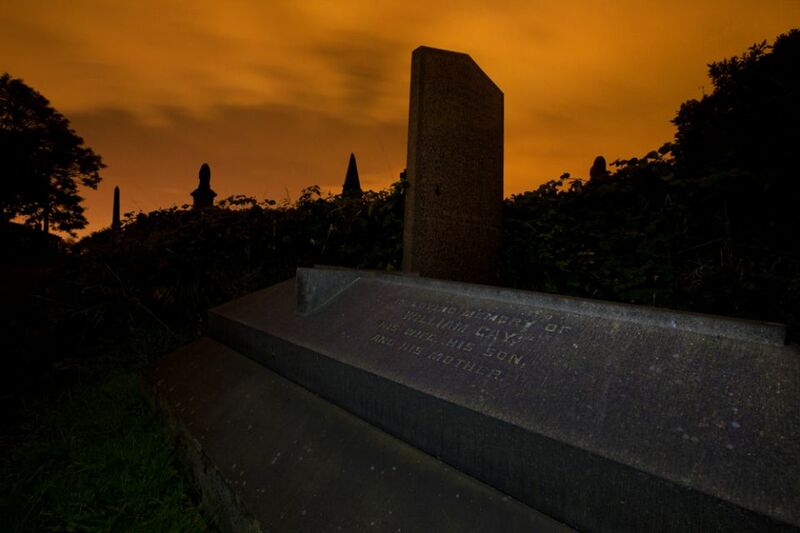 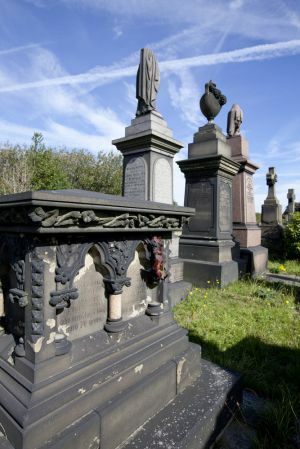 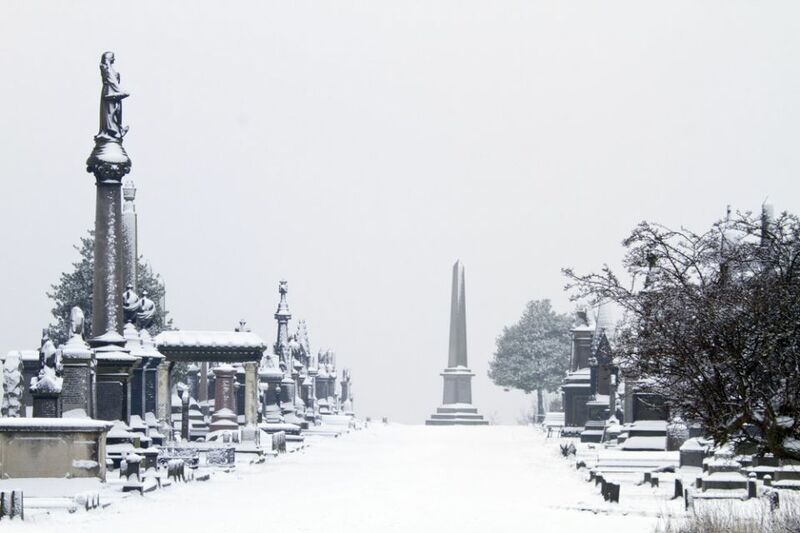 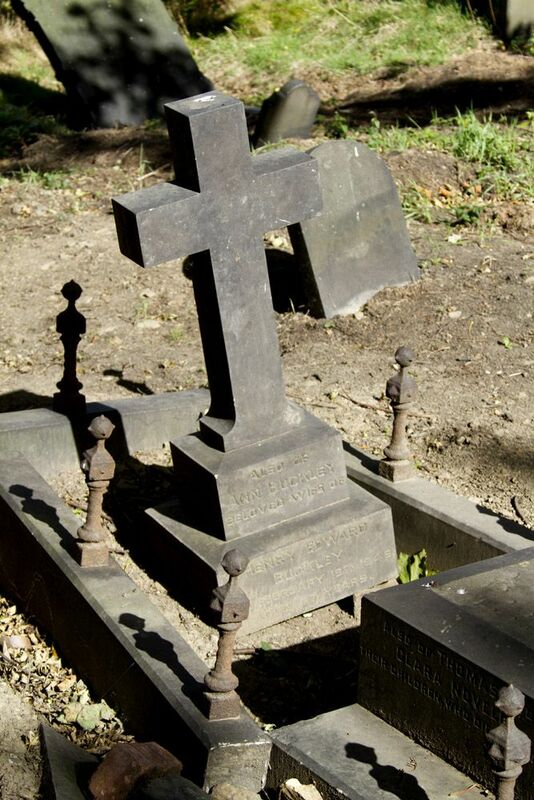 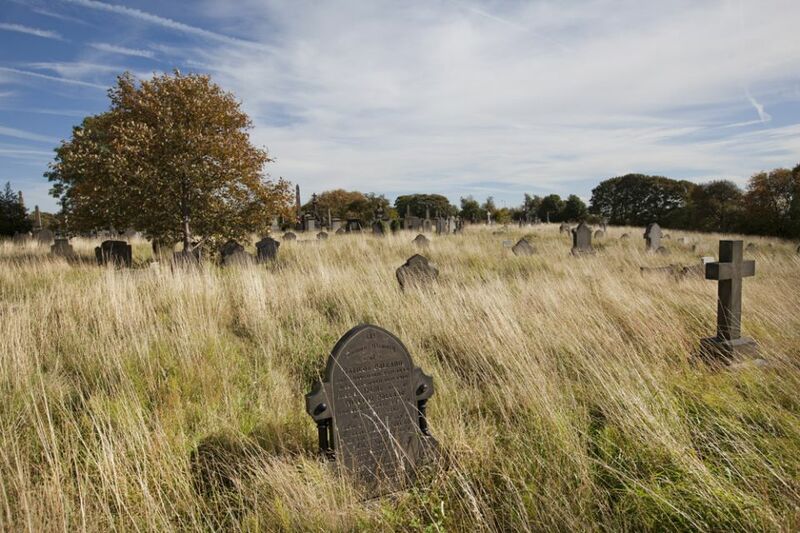 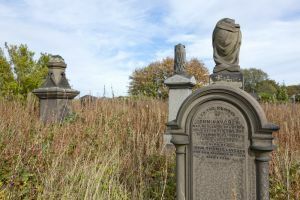 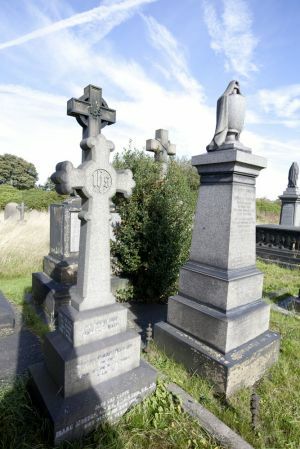 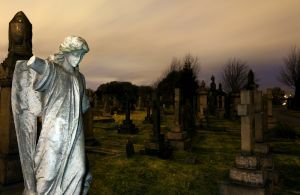 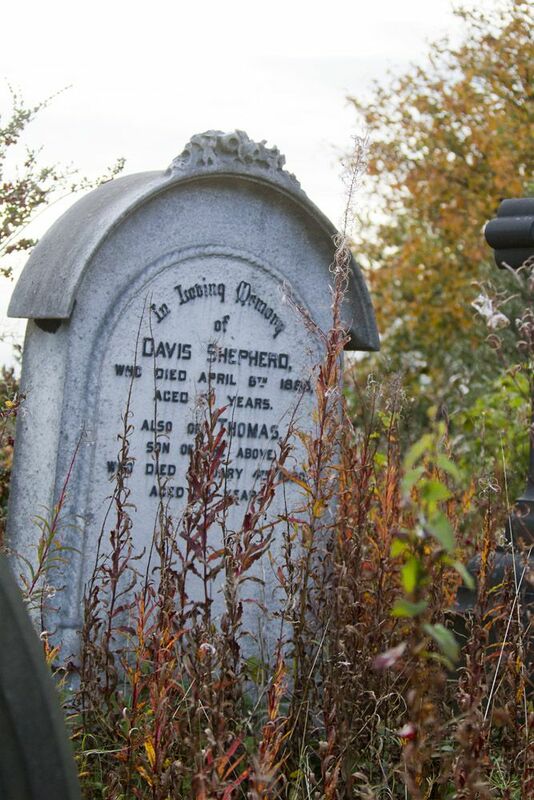 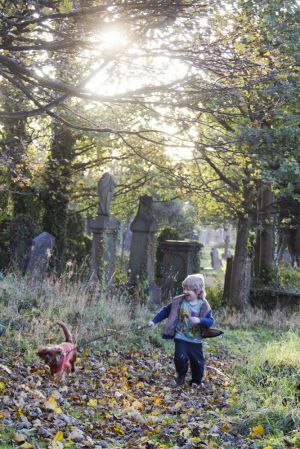 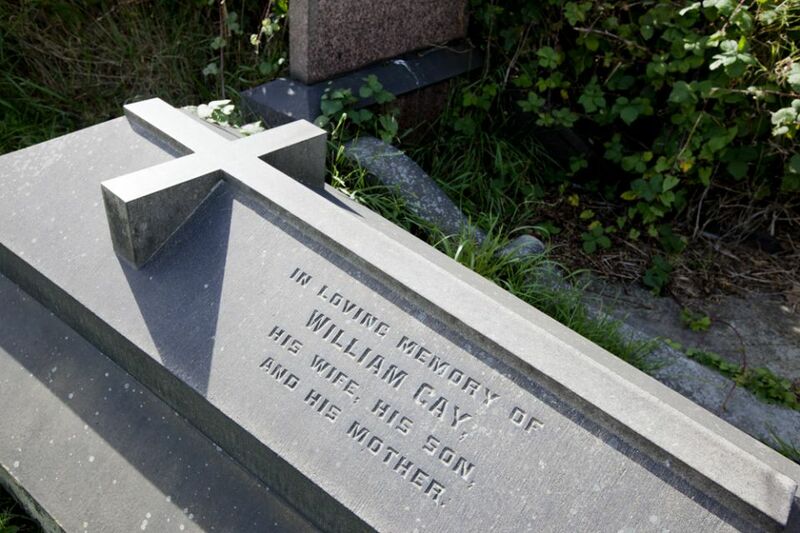 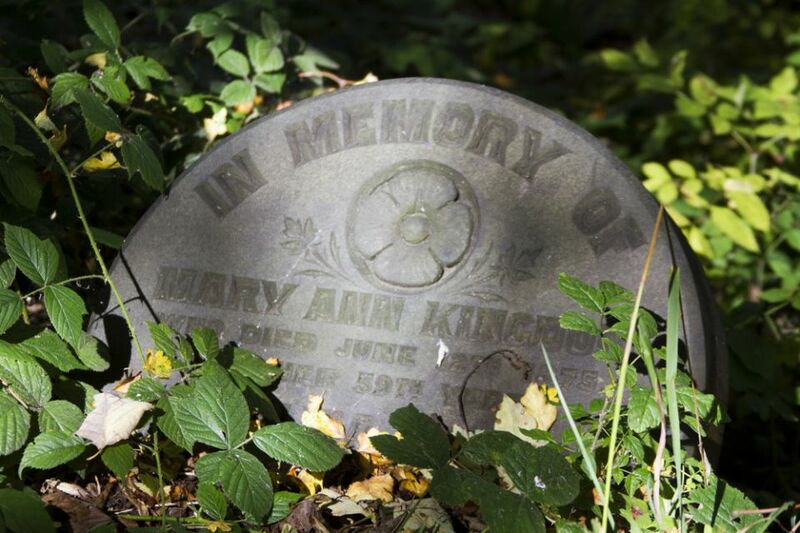 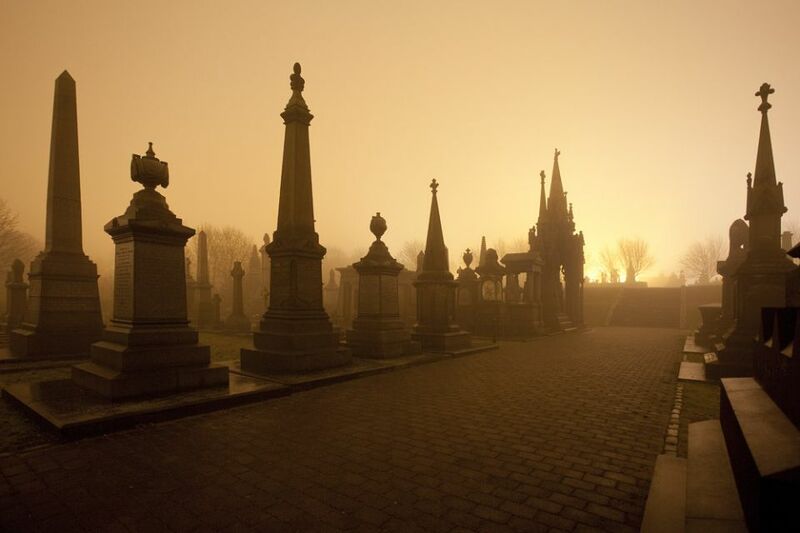 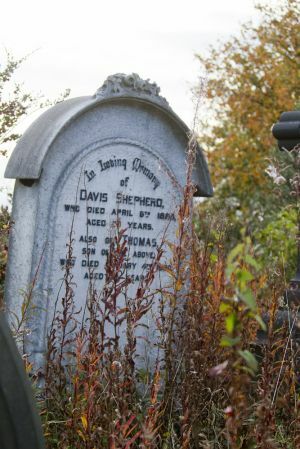 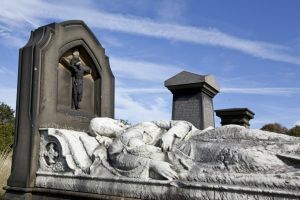 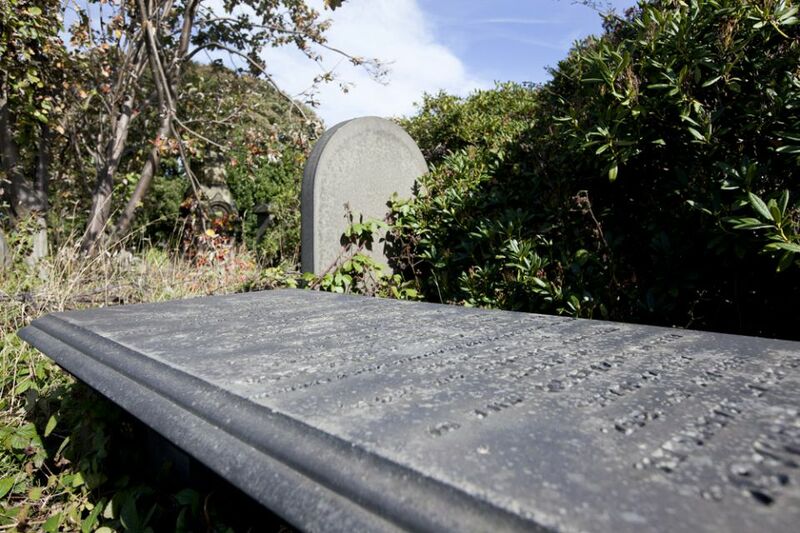 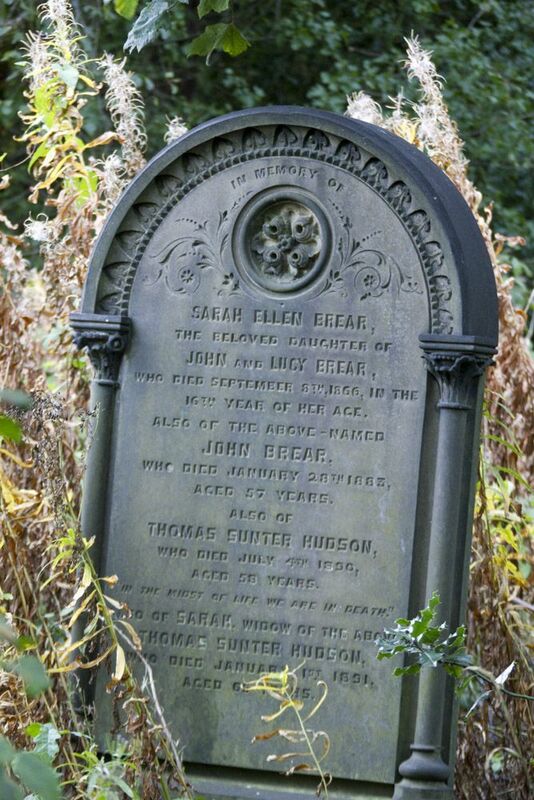 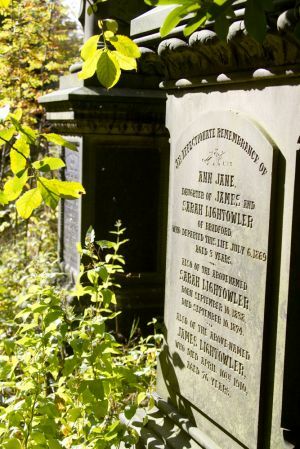 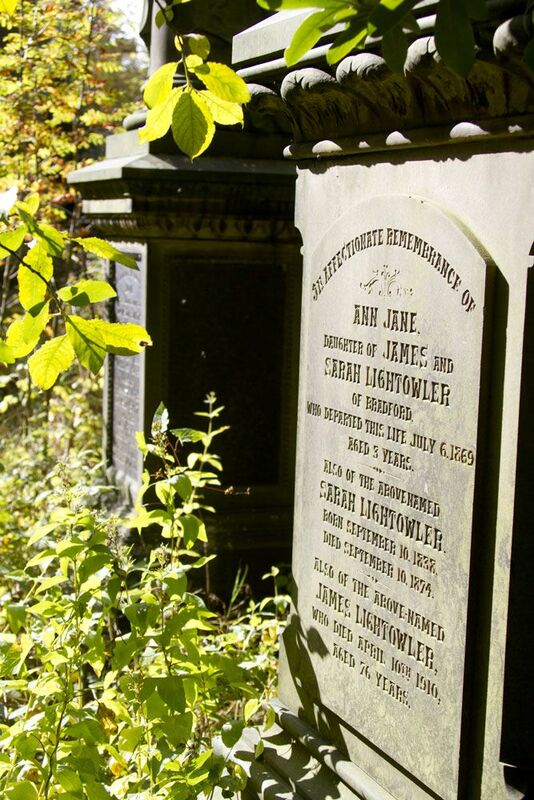 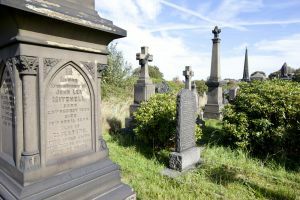 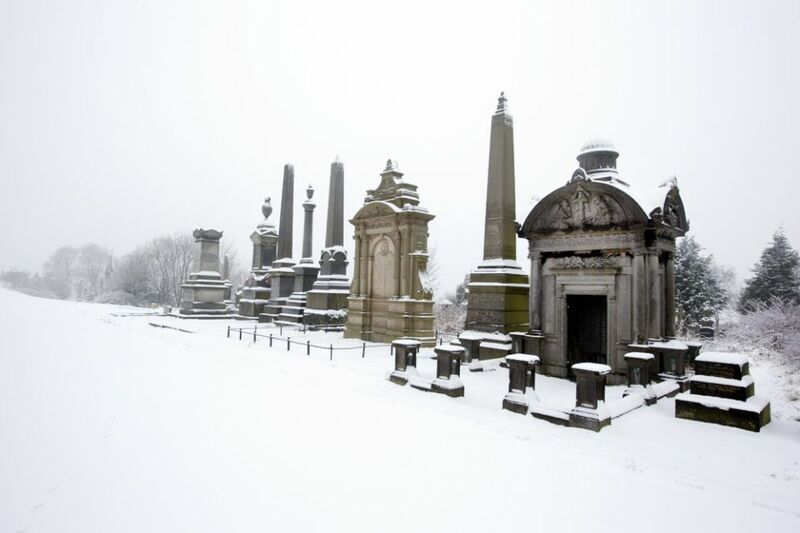 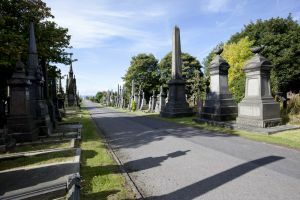 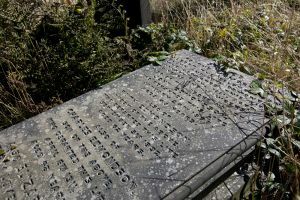 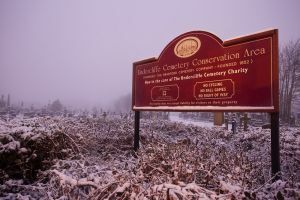 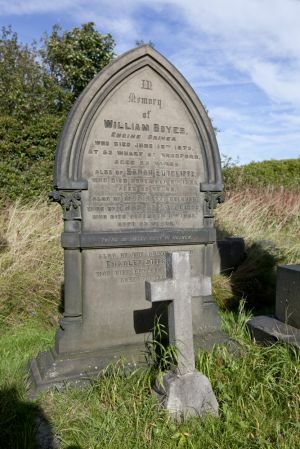 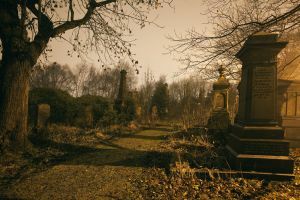 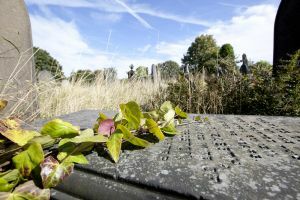 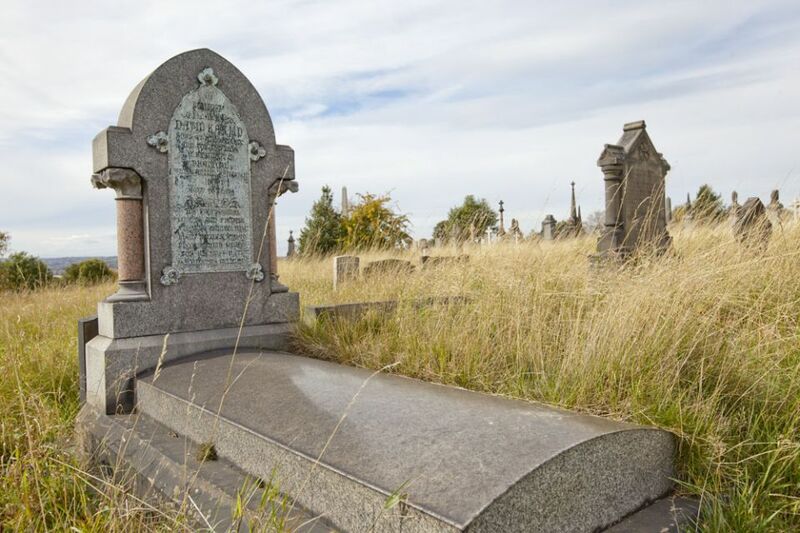 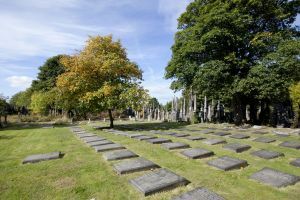 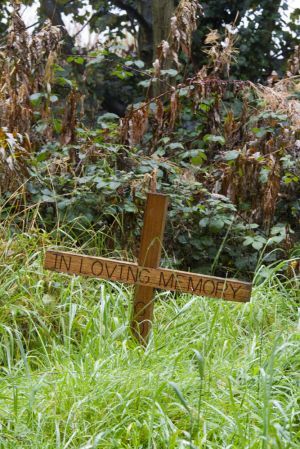 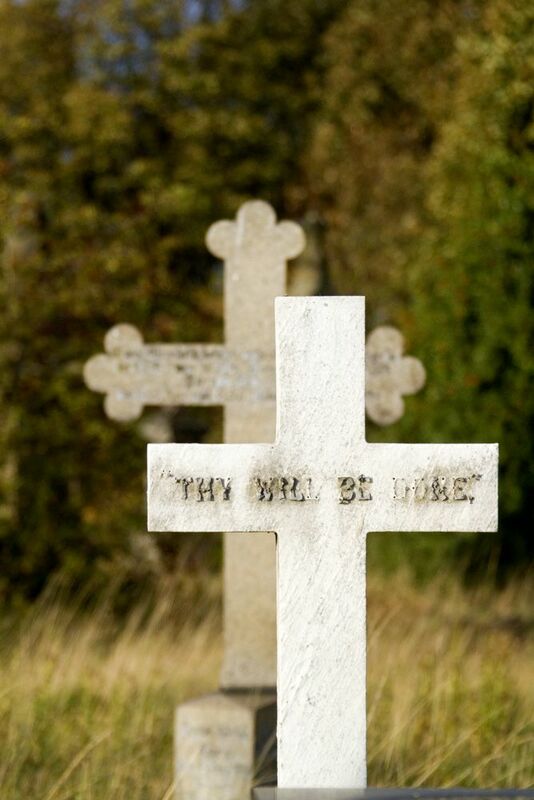 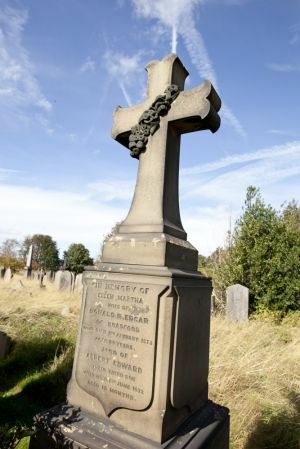 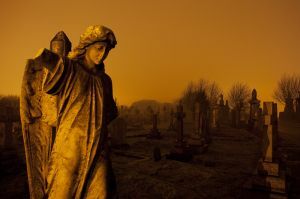 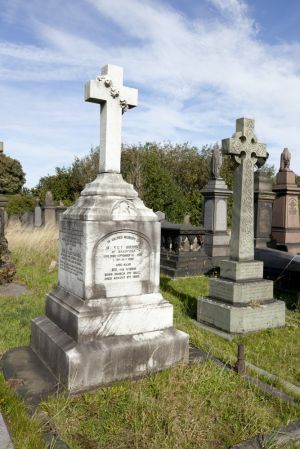 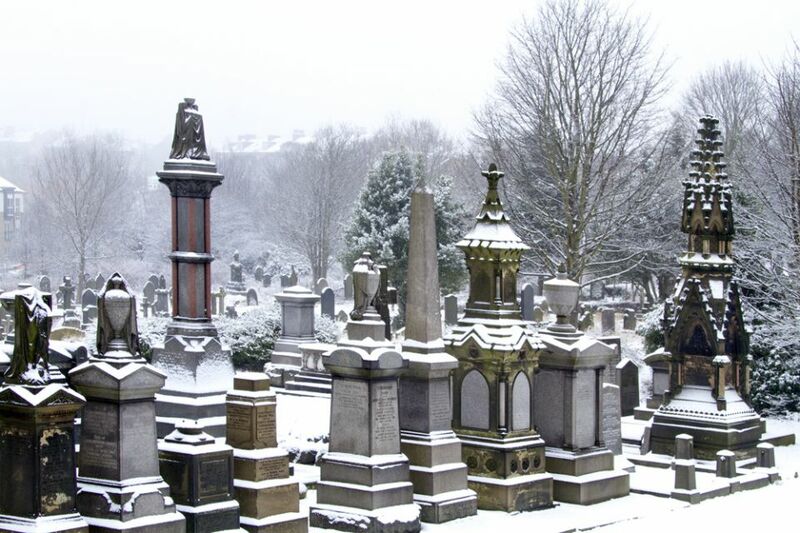 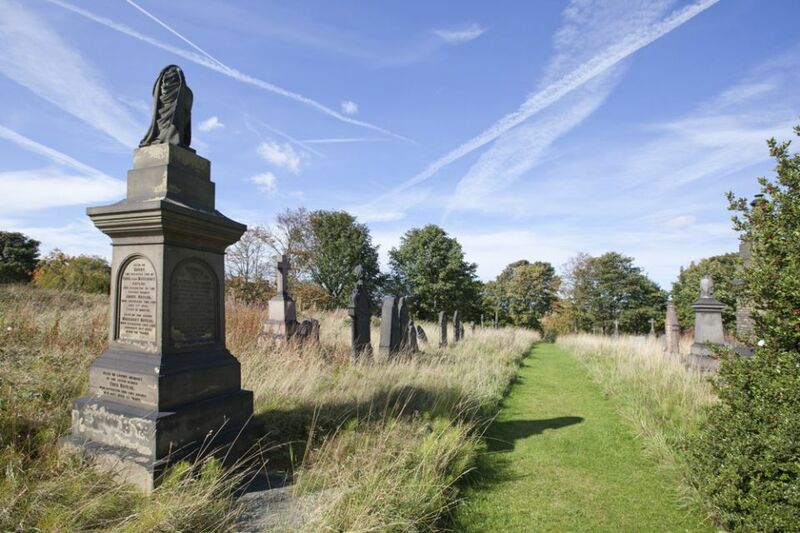 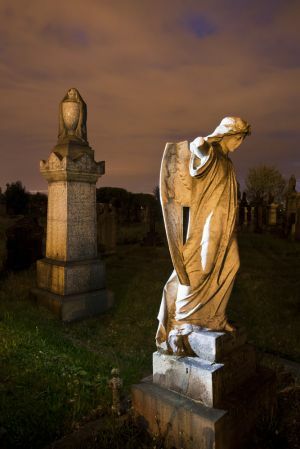 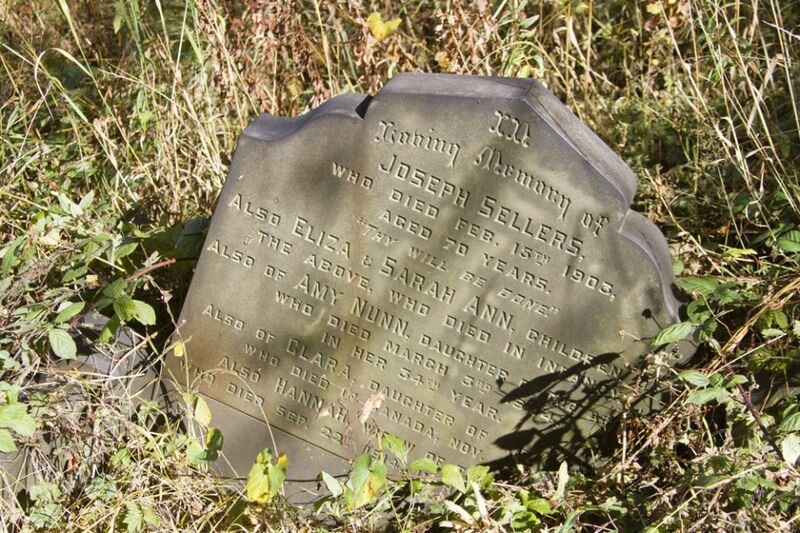 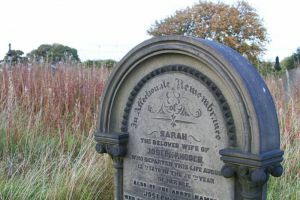 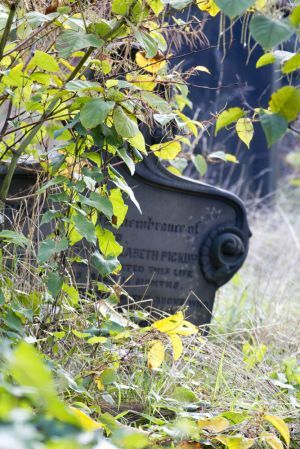 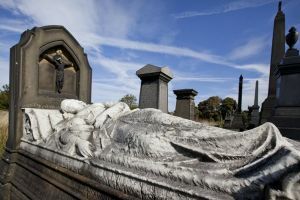 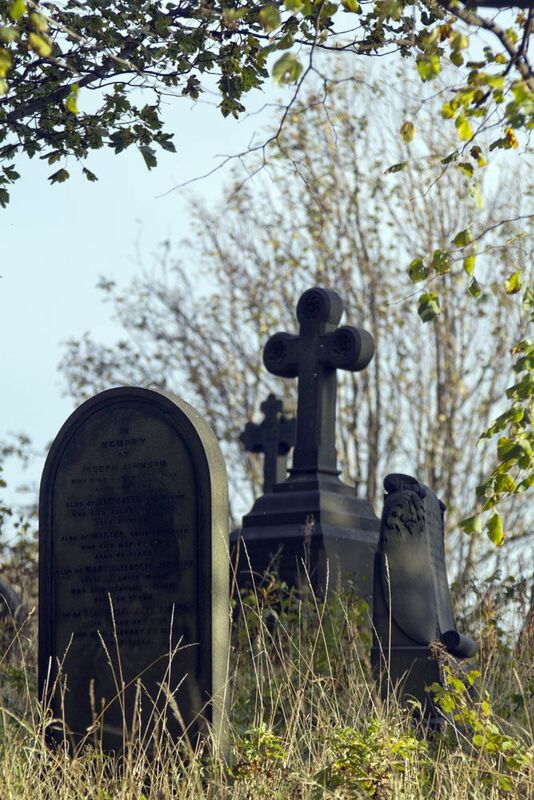 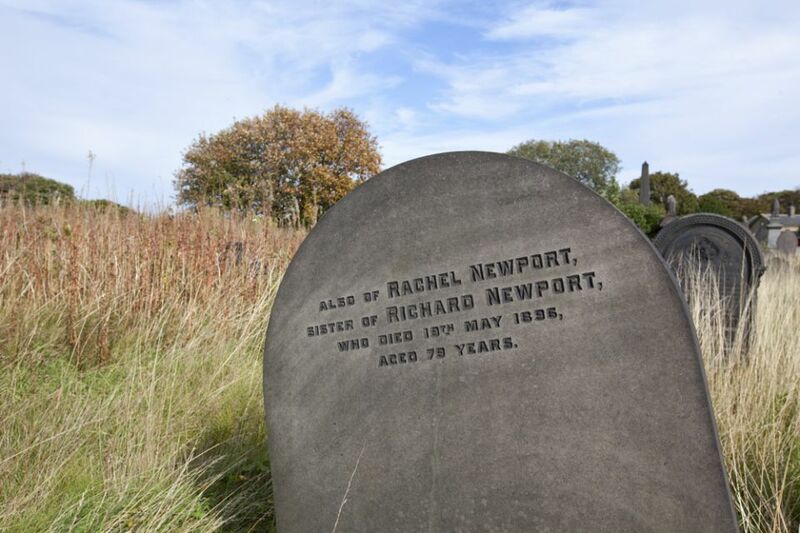 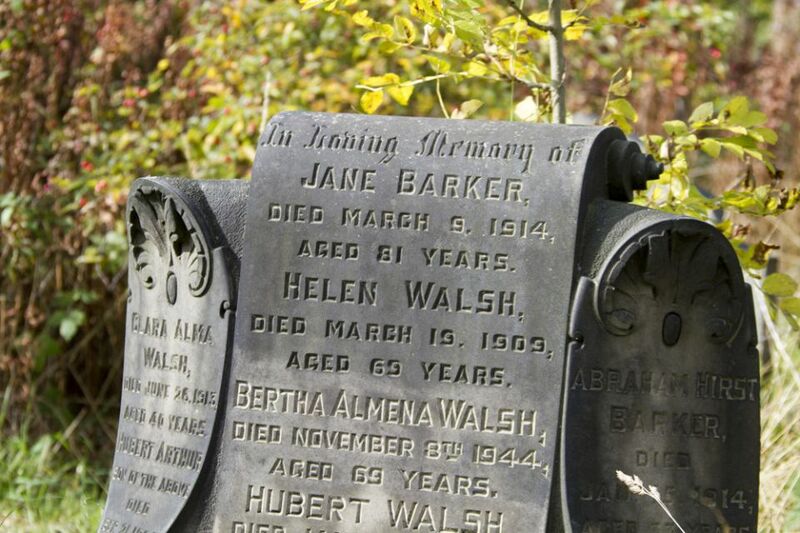 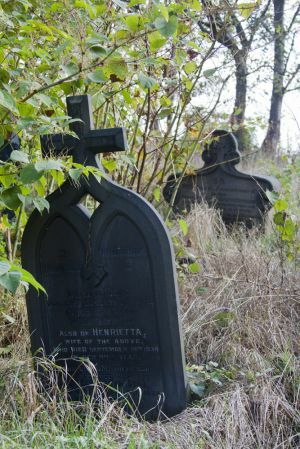 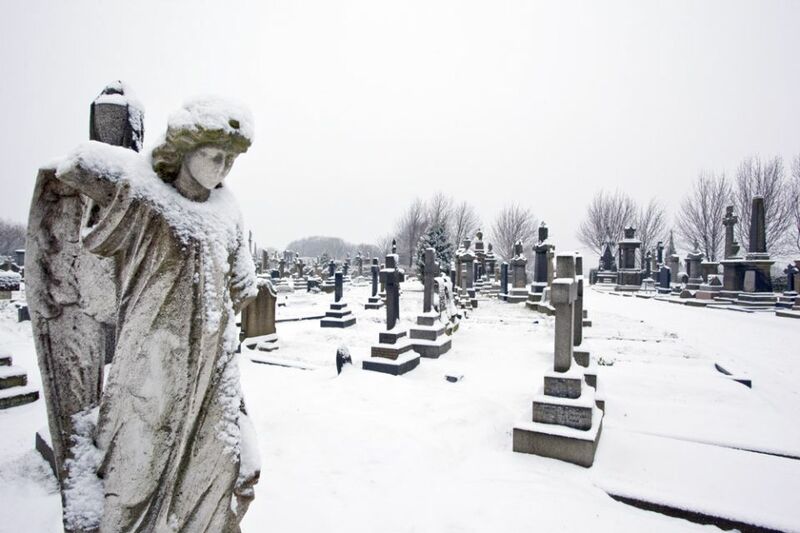 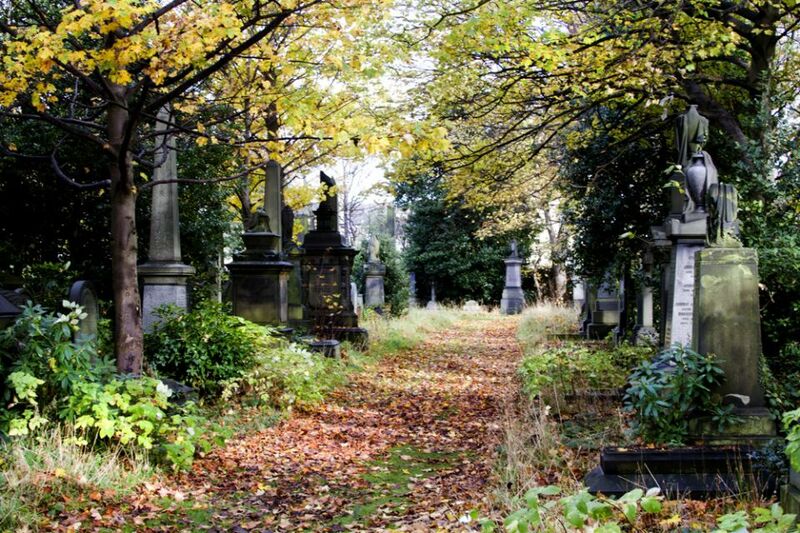 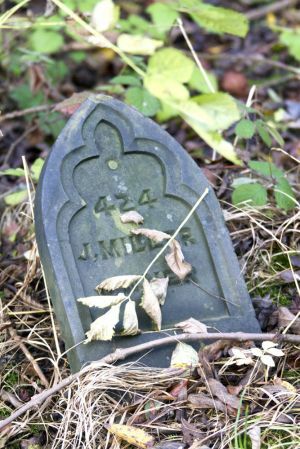 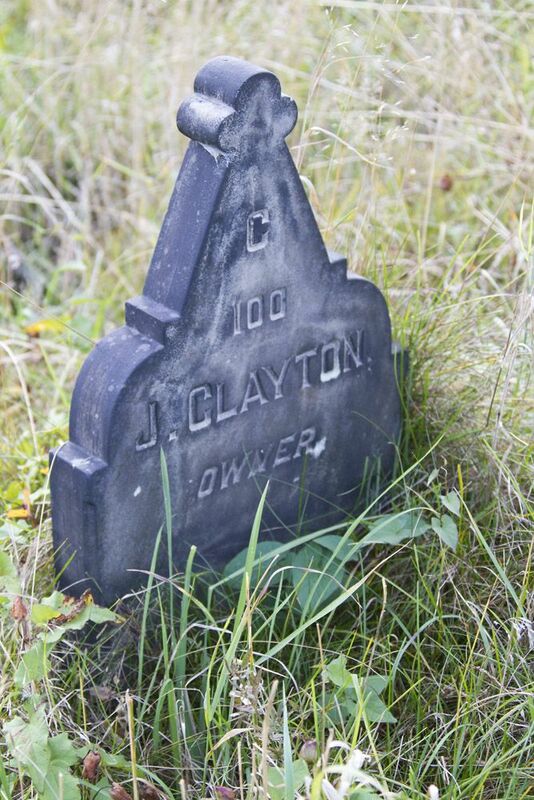 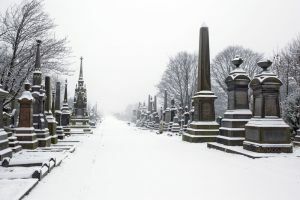 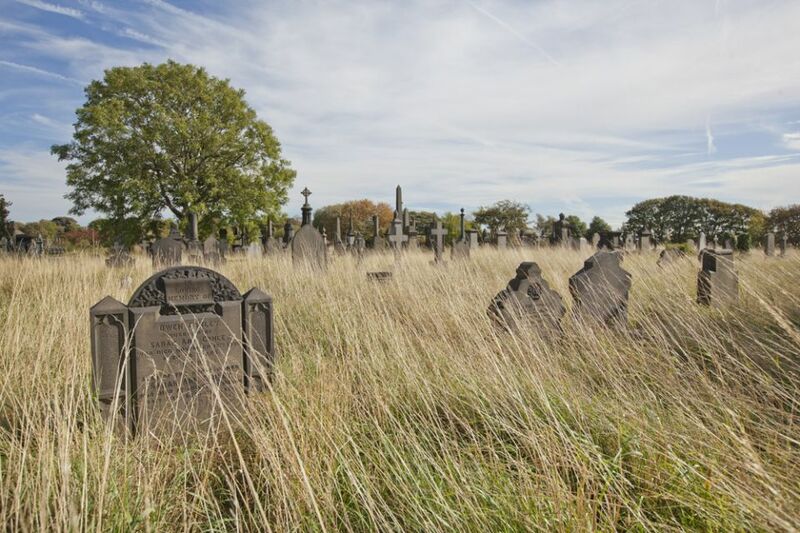 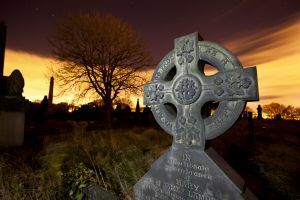 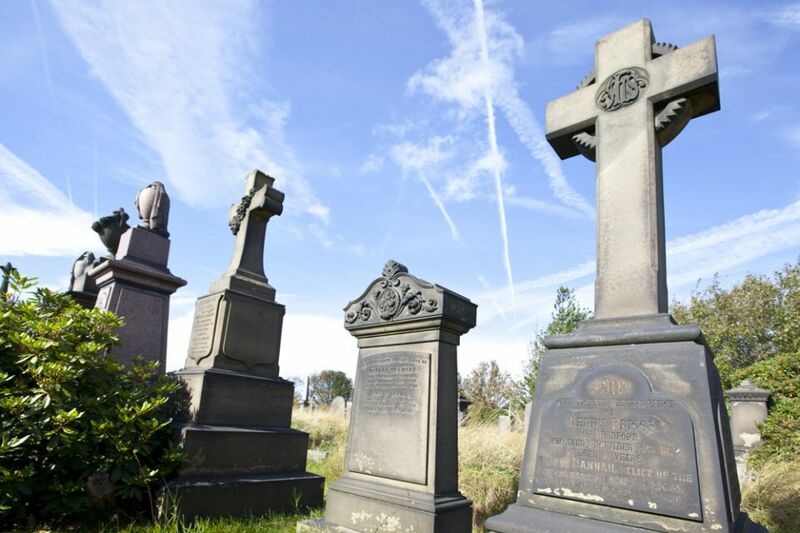 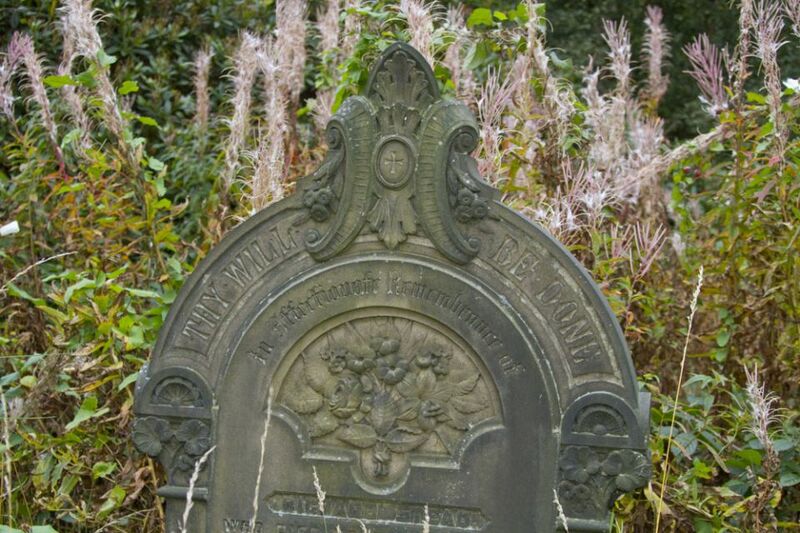 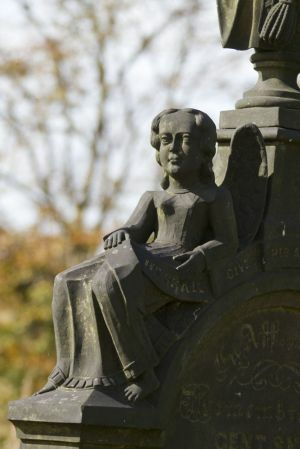 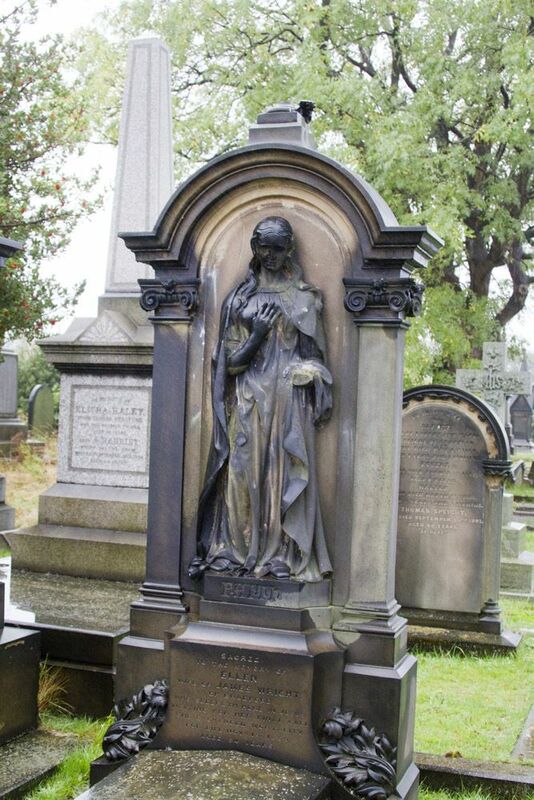 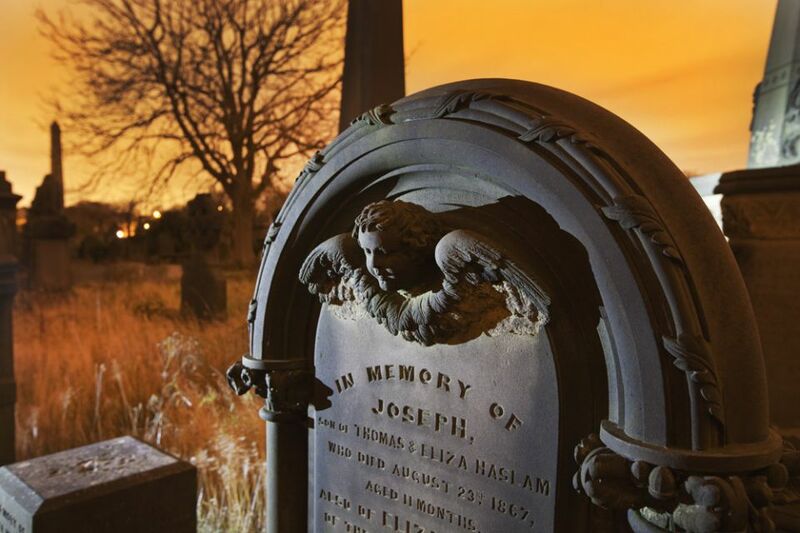 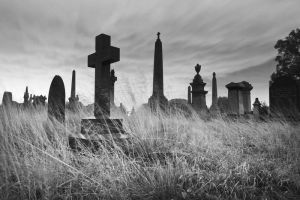 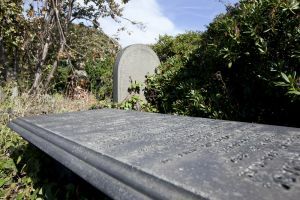 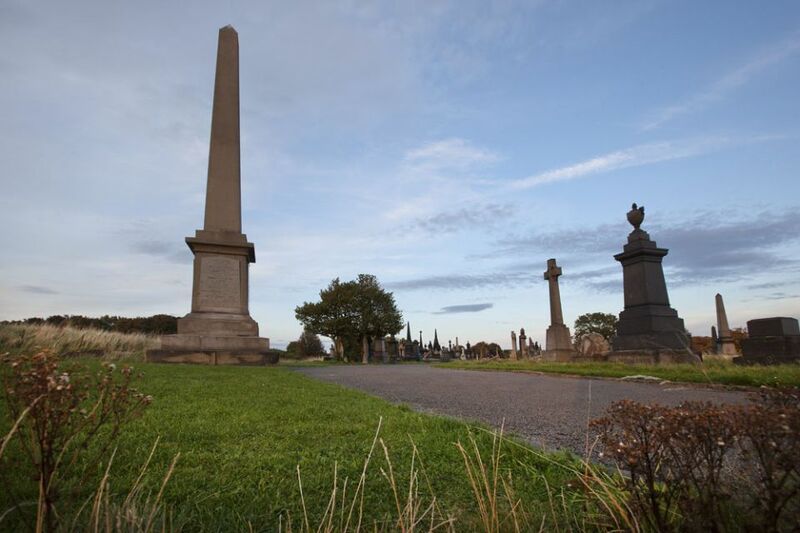 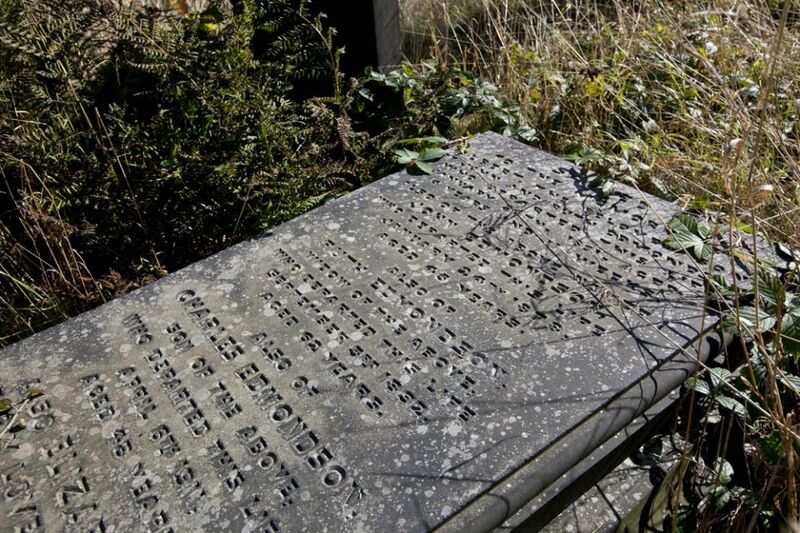 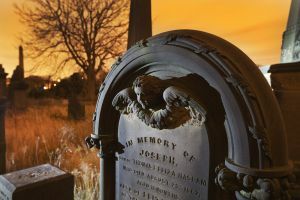 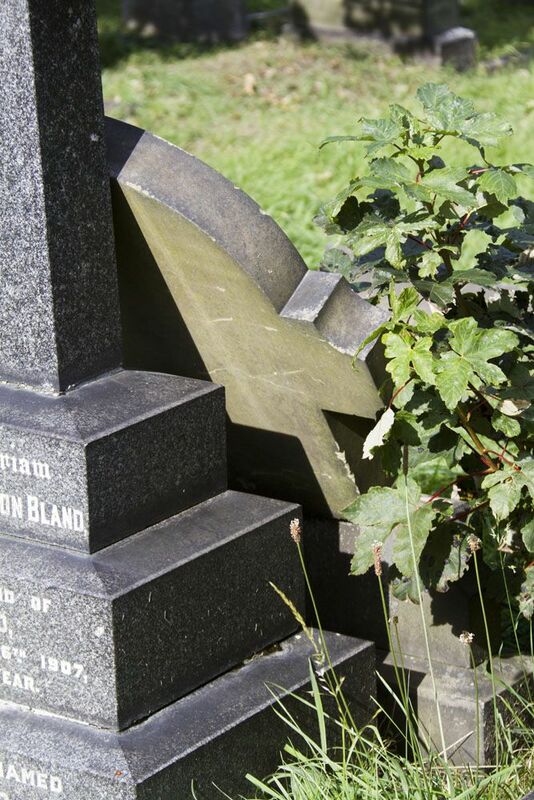 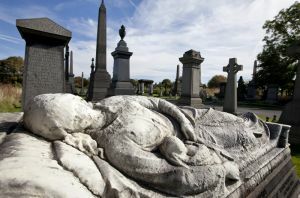 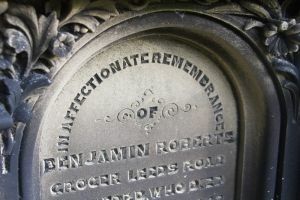 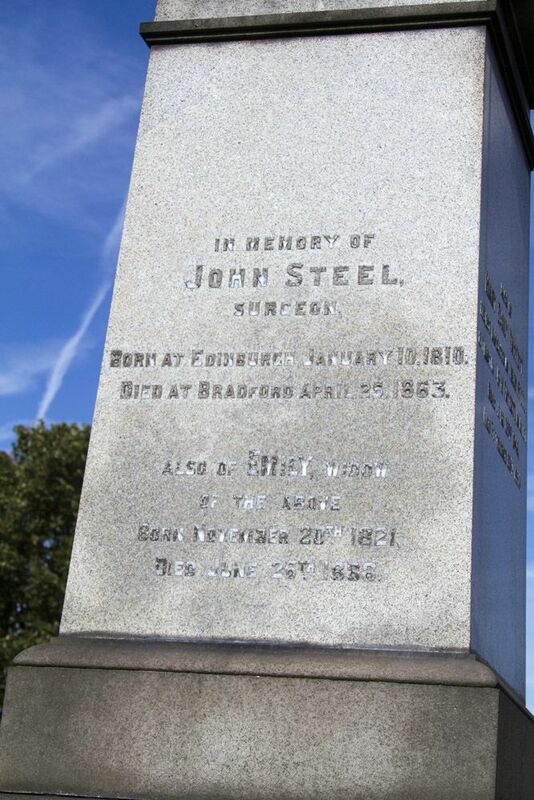 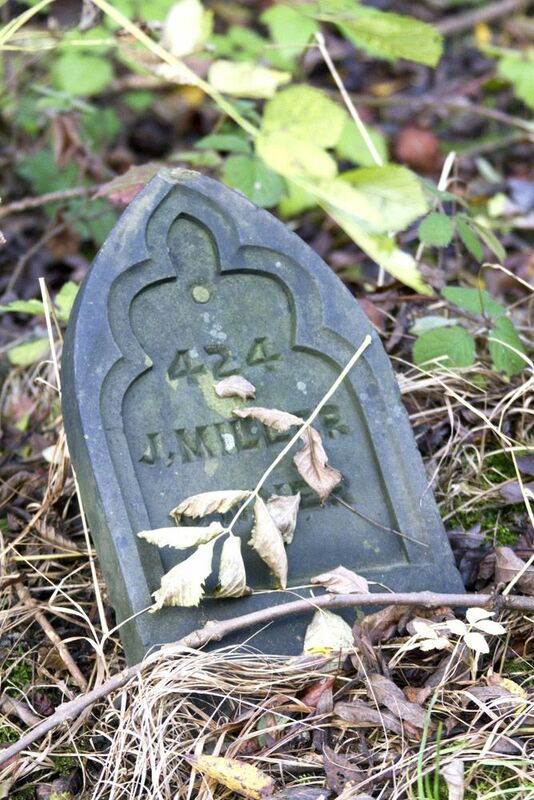 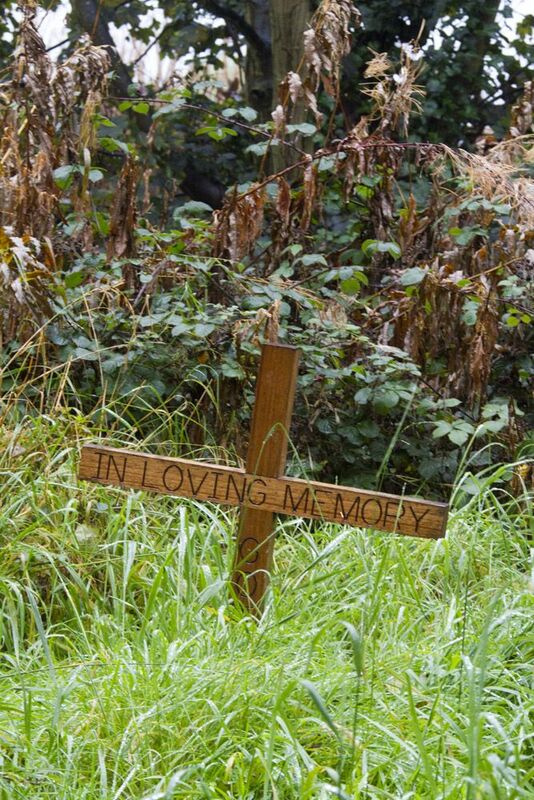 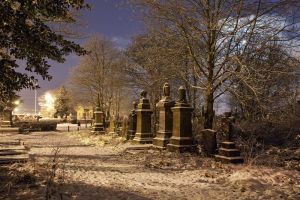 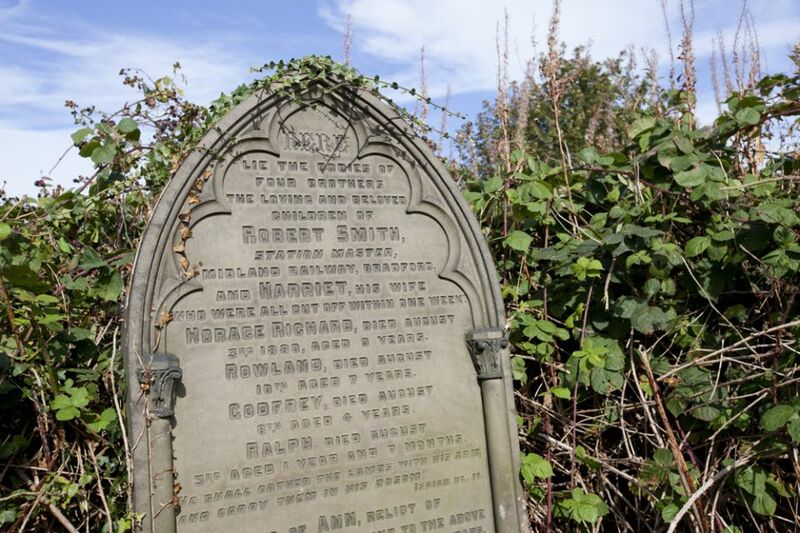 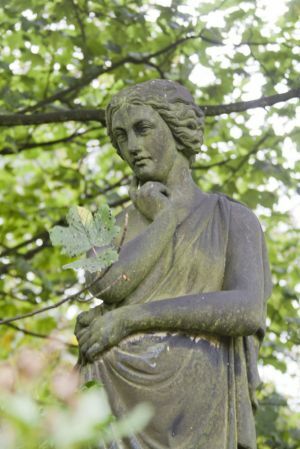 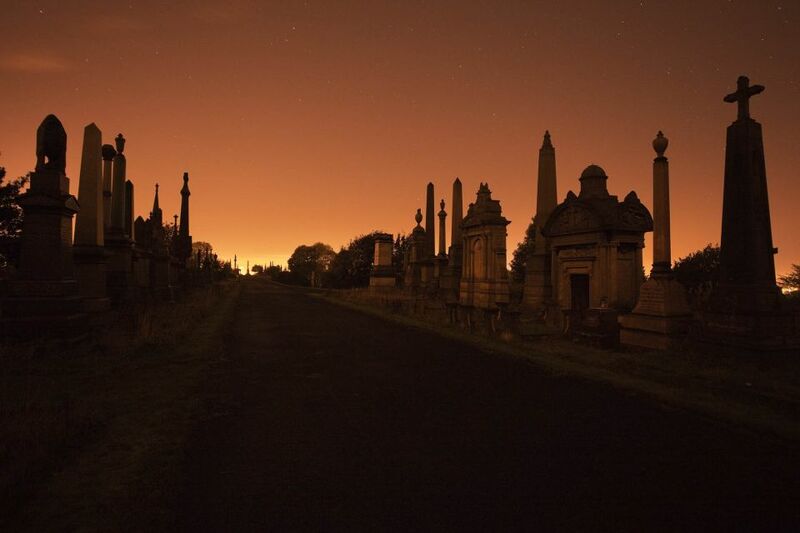 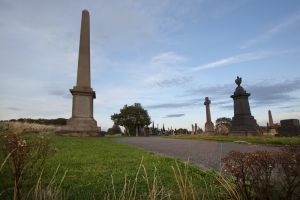 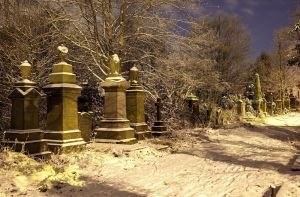 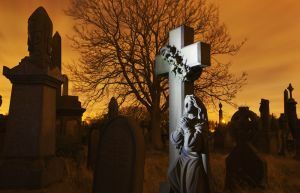 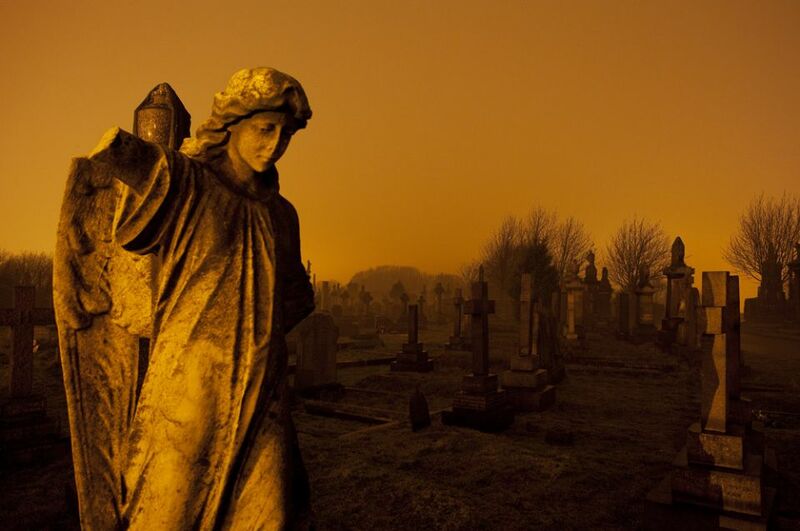 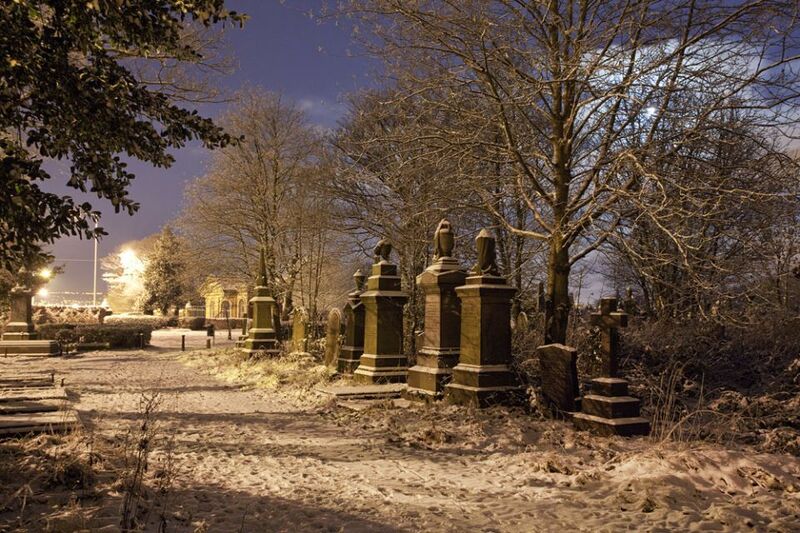 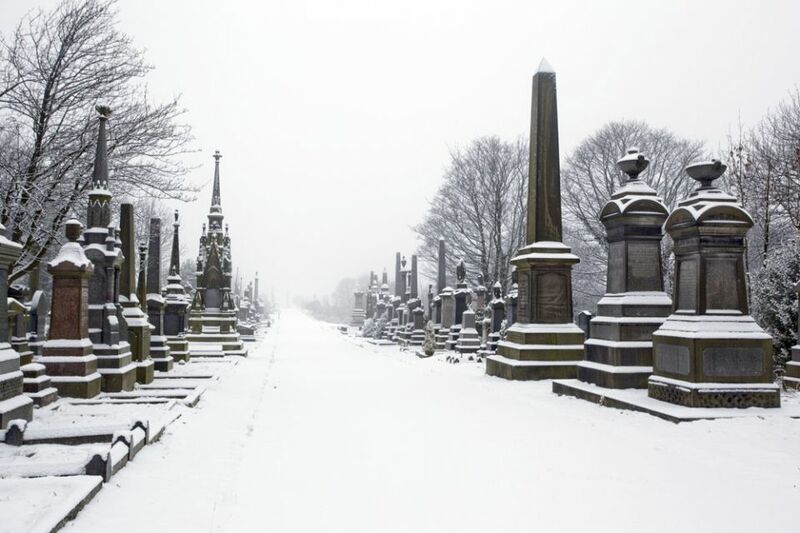 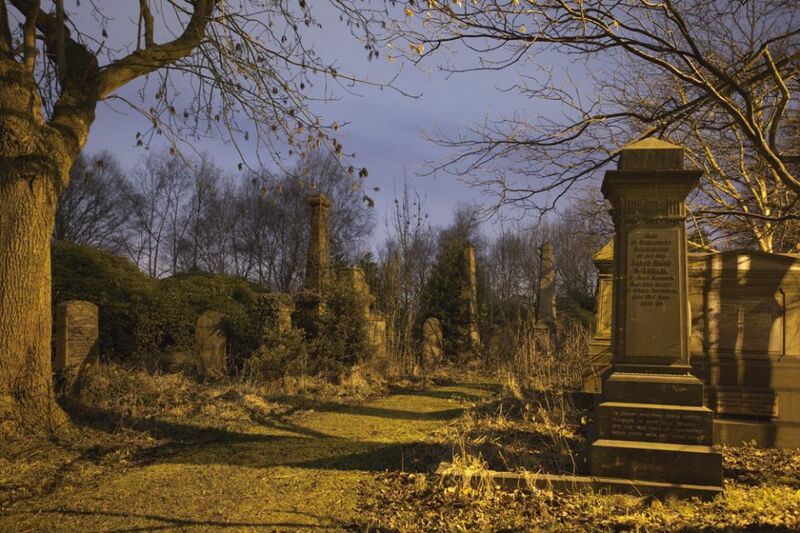 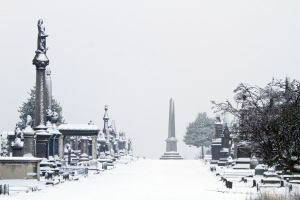 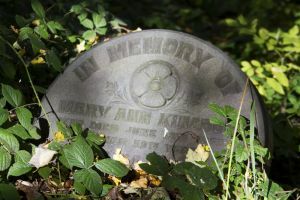 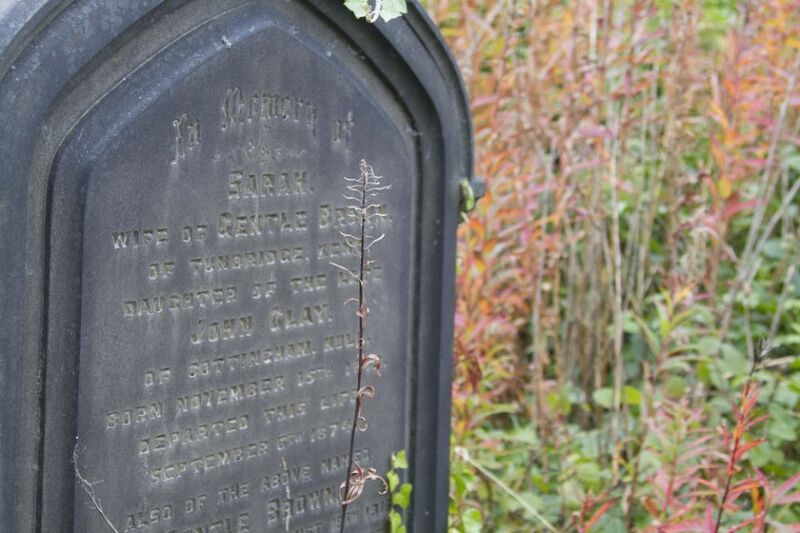 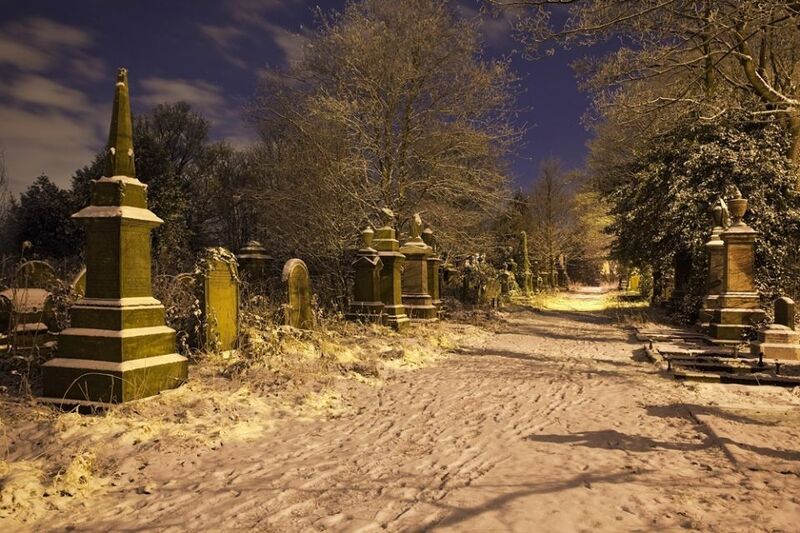 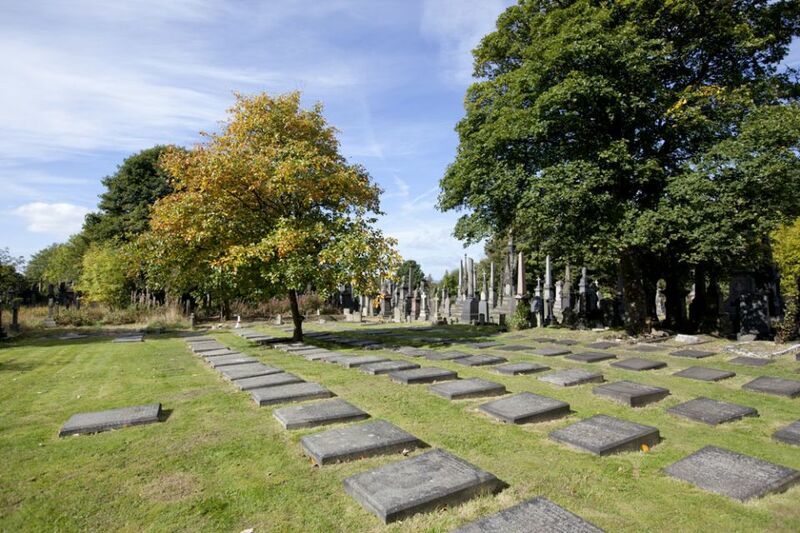 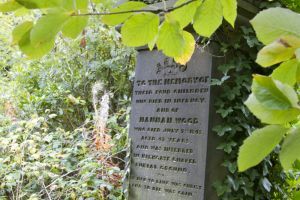 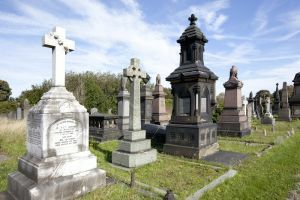 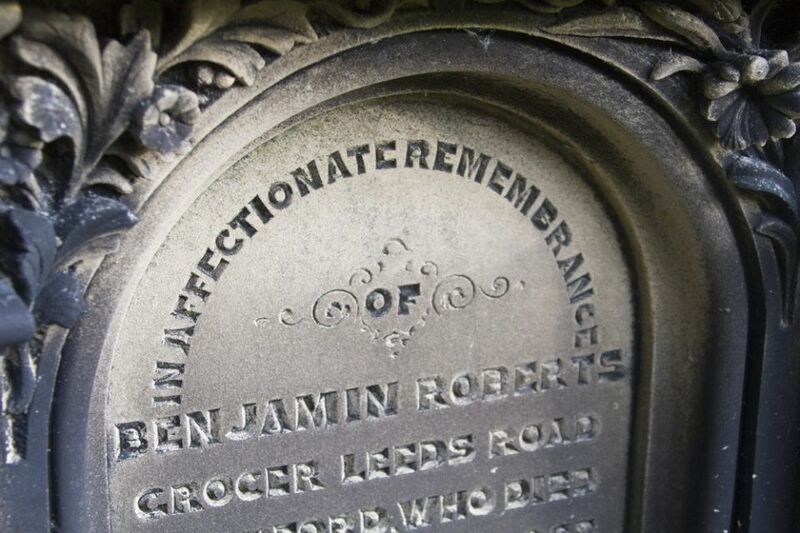 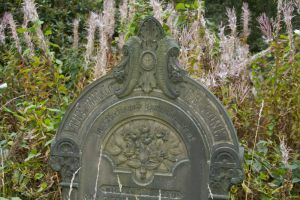 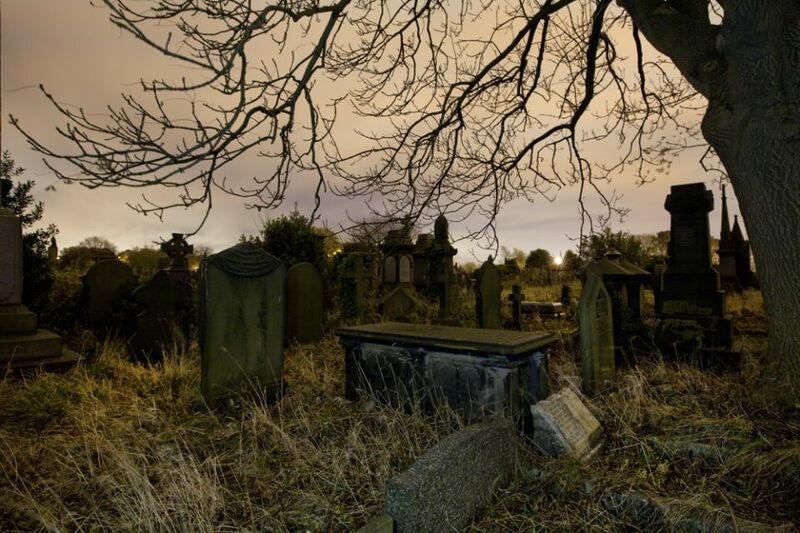 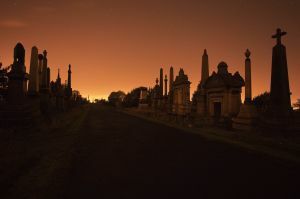 On a recent Radio 4 documentary Dr. Julien Litten, a noted authority on funerary history places Undercliffe at the zenith of British cemeteries. 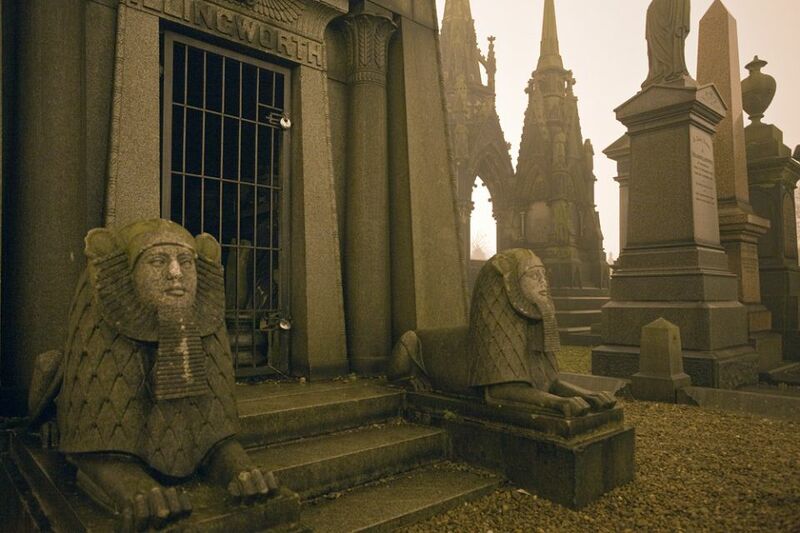 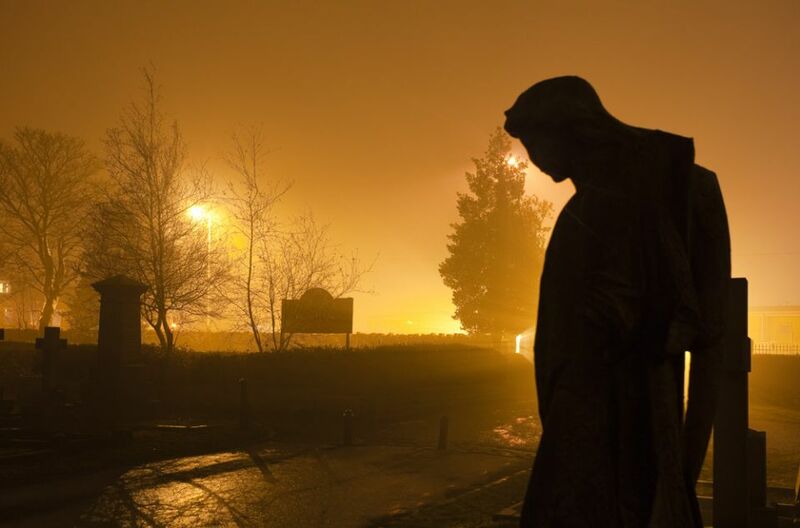 He calls it an enigmatic place which evokes awe, mystery and wonder.